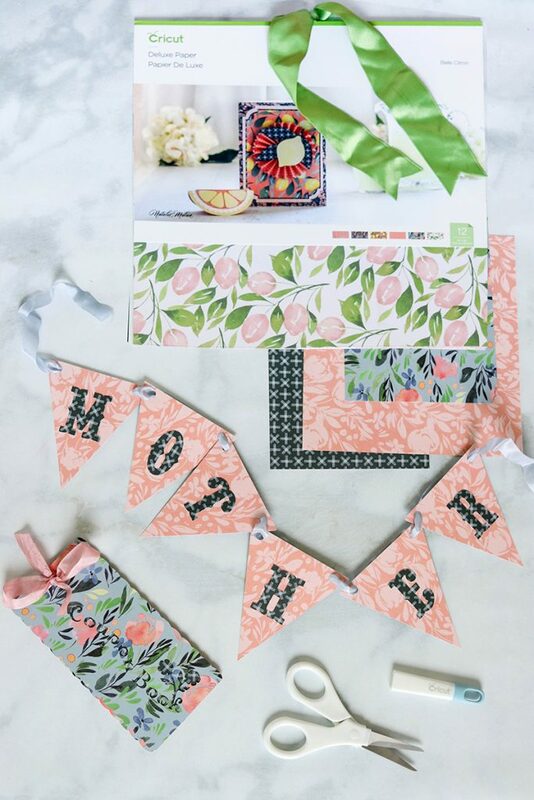 What is the best homemade gift for Mother’s Day? 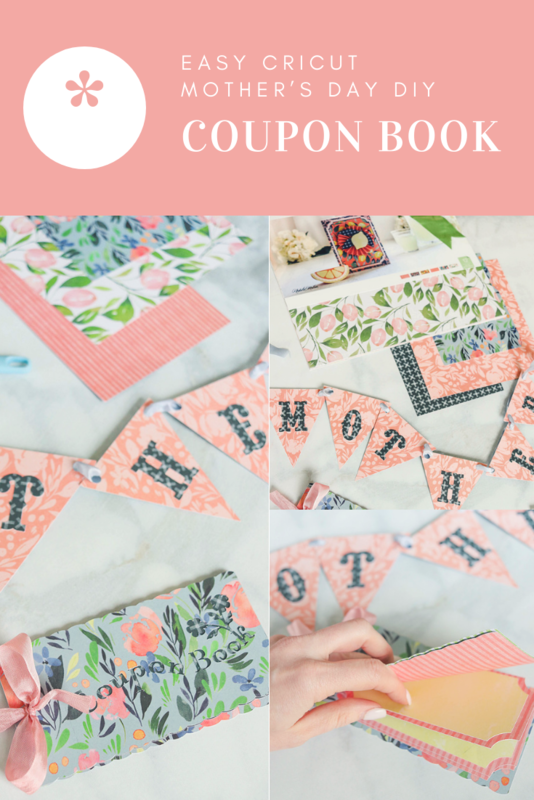 One of my most favorite gifts is getting Mother’s day coupon books from my kids. 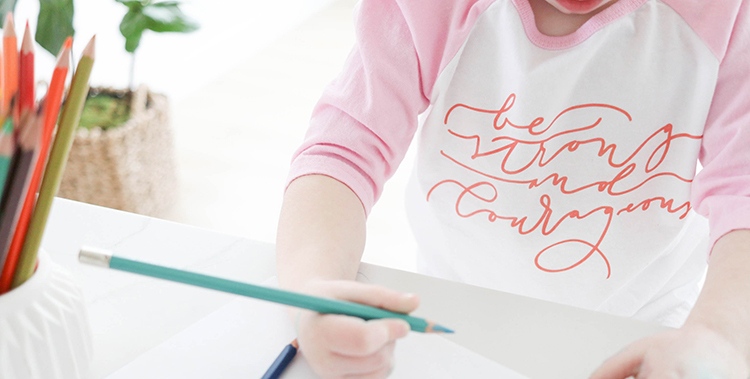 I’m a working mom and always love an extra hand around the house! 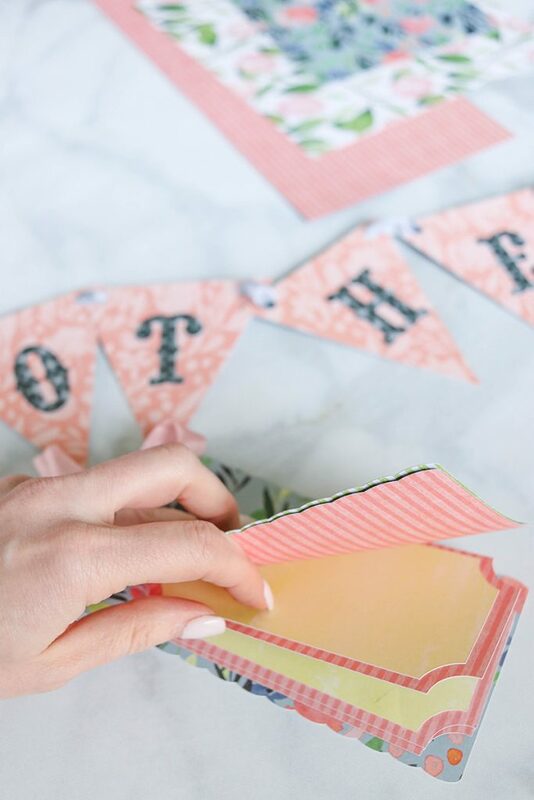 This year we are making some cute Mother’s Day Coupons for my mom. 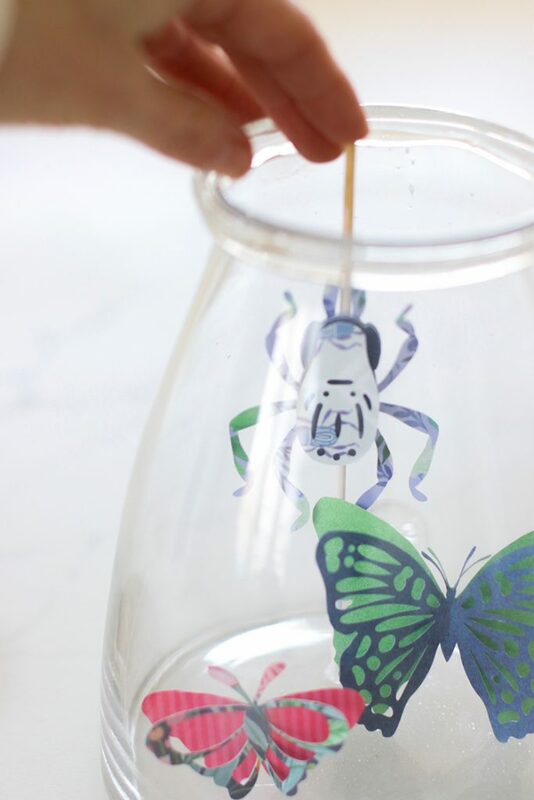 I think the kids will be really excited to be making them for their Grandmas. 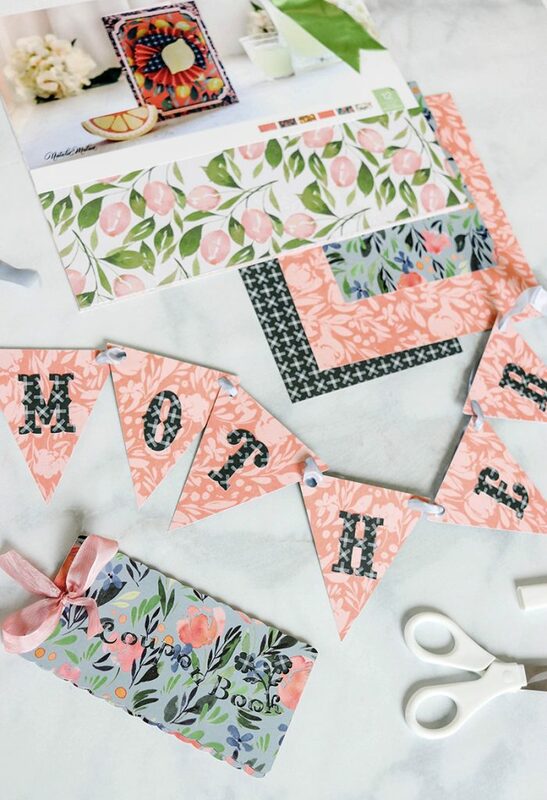 I’m going to use my Cricut to get them all cut out along with a cute “Mother” banner for a chair backer, or centerpiece. Once they’re all cut I’ll let them color on the yellow pages with their cute writing and make adorable coupons. Like this post but don’t have time to make it today? Pin this image so you can find me again! Gather your supplies! 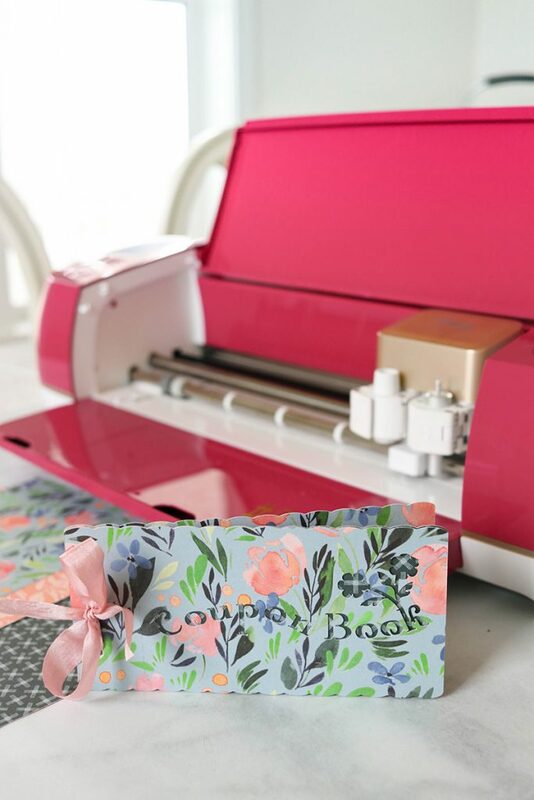 I used the Cricut Wild Rose Explore Air 2 machine – it’s currently ON SALE! Run! Check it out! 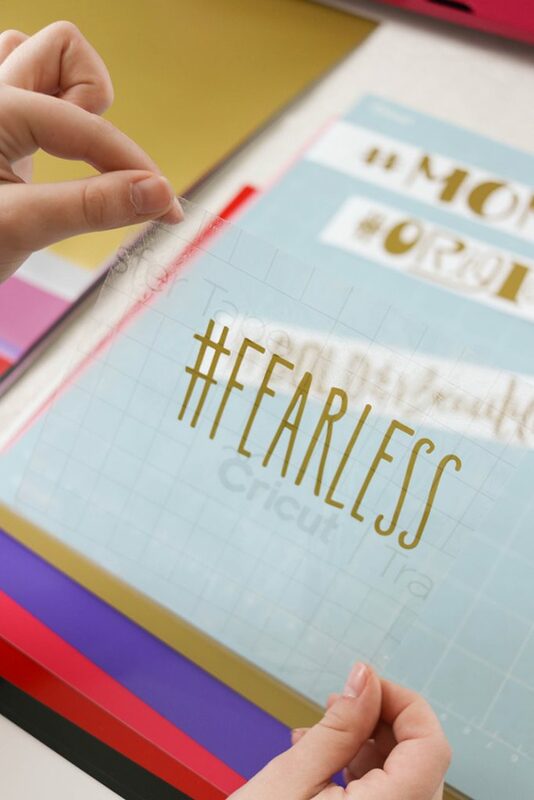 The shimmer vinyl is to die for, and I’m super excited to start making print and cut vinyl projects too! 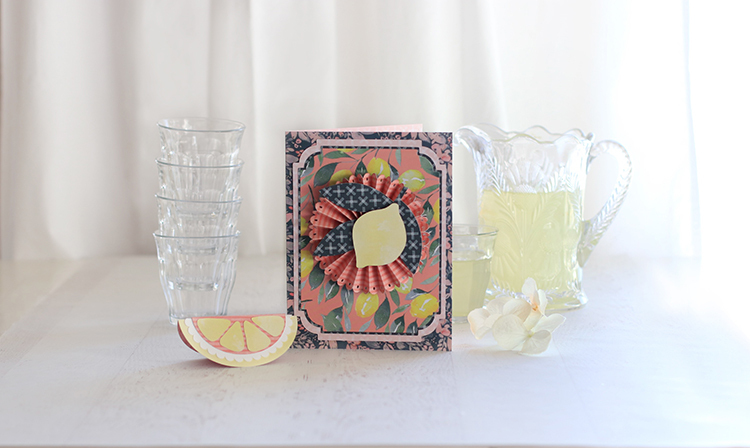 This project uses my Belle Citron paper! Somebody pinch me! 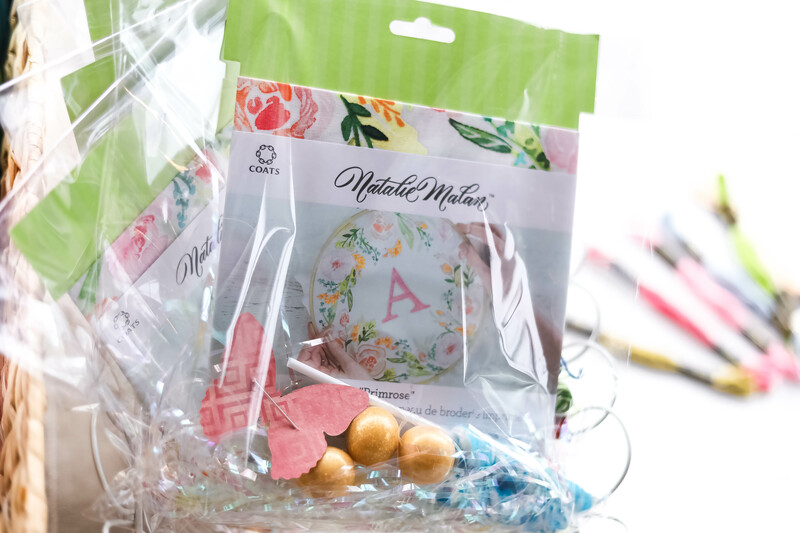 It’s exclusive to Joann Stores and I have a whole coordinating END CAP of yummy goodness! And END CAP my friends! I may have ugly cried a time or two over the overwhelming responses I’ve had from all of you tagging me on Instagram and Facebook. It makes me SO HAPPY to see all the things you’ve created!!!!! And it really makes me ugly cry to see your loved ones enjoying the things you’ve made, but that’s ok, we’re good friends like that. And last but not least, here’s my faaaaaaaavorite top secret glue pen! 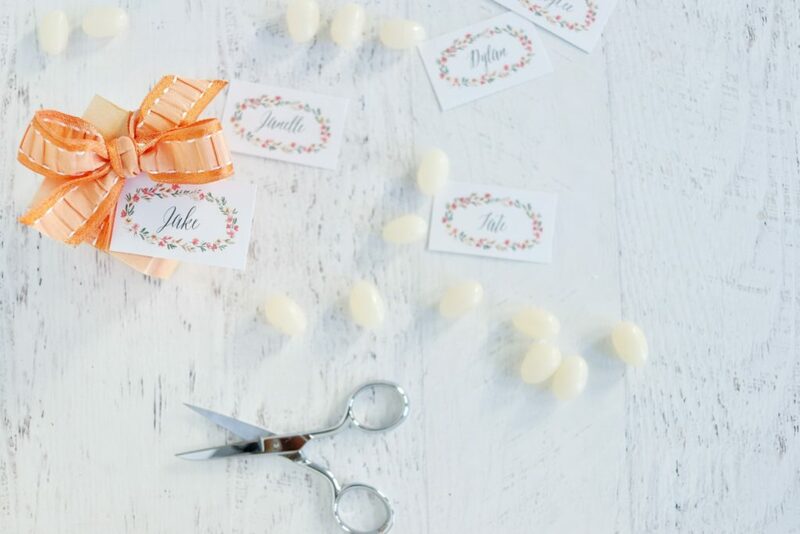 I’ve used them forever and they are my #1 Cricut necessity for gluing any dainty pieces! It makes it soooo easy!!!! You’ve GOT TO GET ONE. You can thank me later. 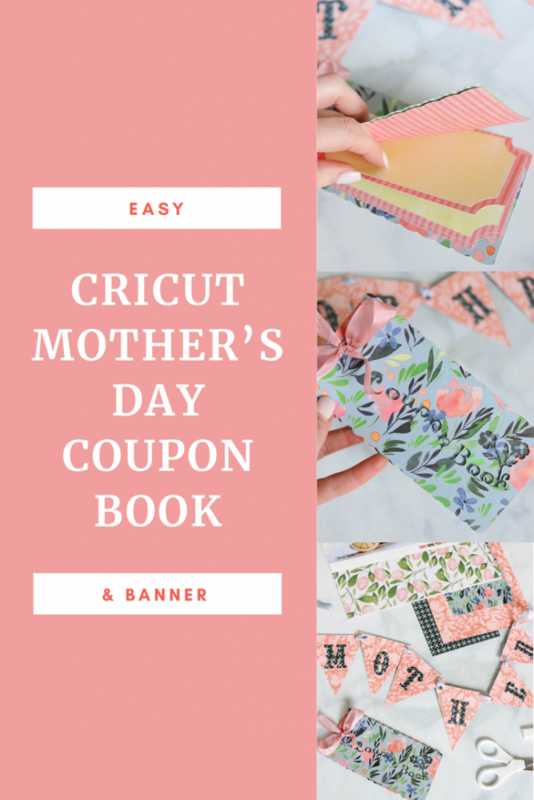 If you have Cricut Access ALL of the files in this Mother’s Day Coupon Book project are free, and already in your account!!! 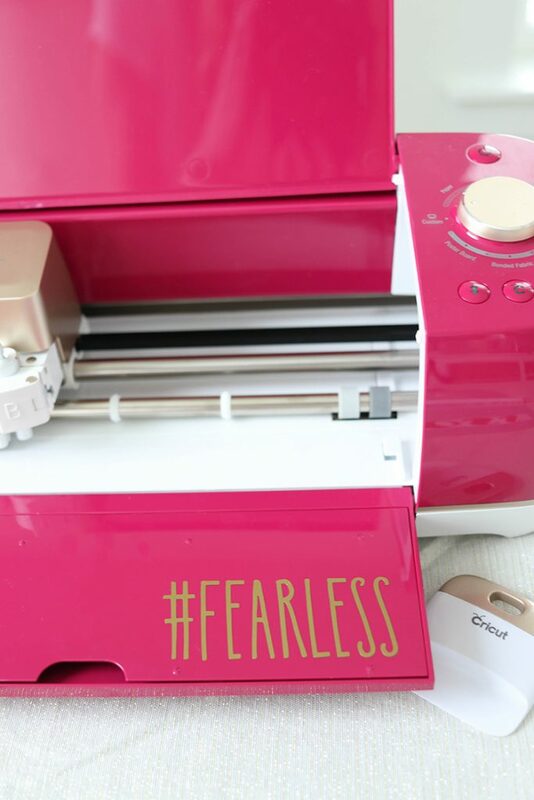 Can you tell I’m a huge Cricut Access fan??? 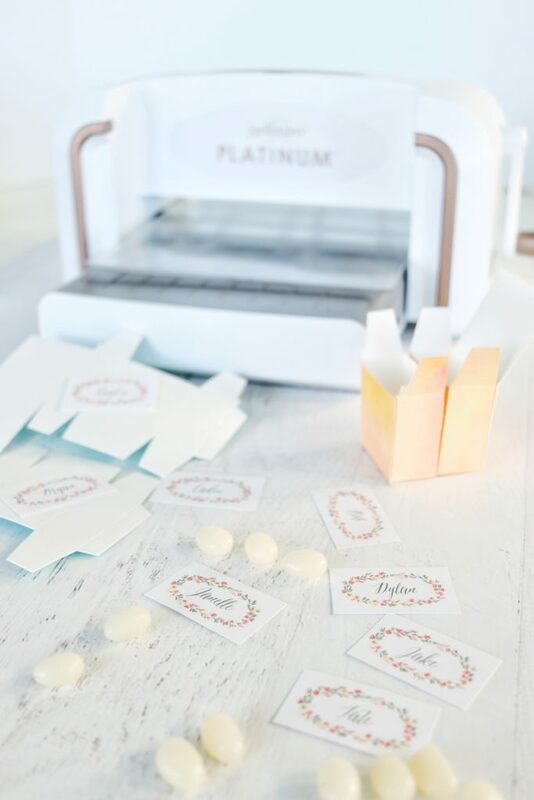 We recently added tons of my designs to Cricut Access which was a HUGE deal for me because I love a good deal and want to make sure YOU are getting the most for your money! 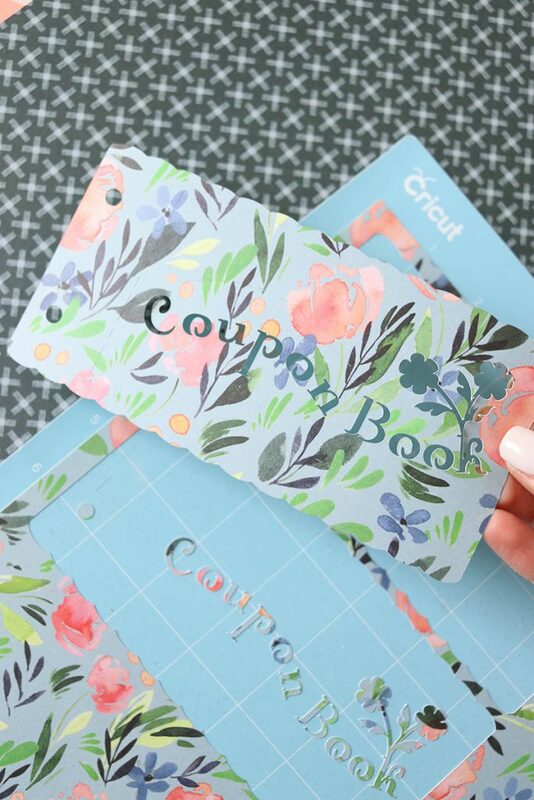 If you’re not a Cricut Access subscriber, don’t worry! 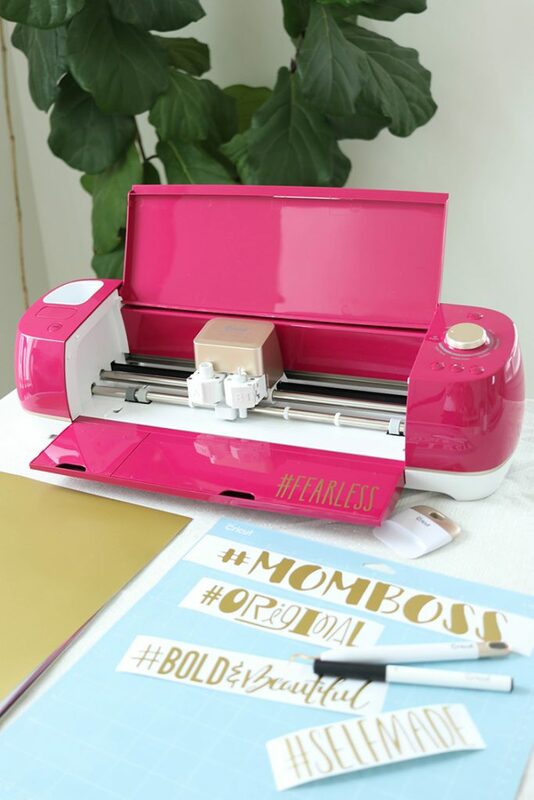 It will let you know the final price when you go to cut the file and you can pay for the individual Mother’s Day cut files at the very end right before you decide to cut! Easy Peasy. 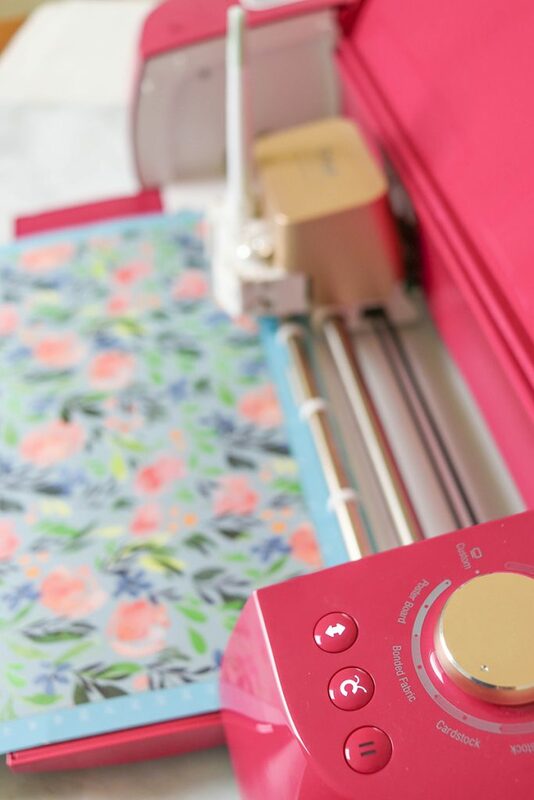 I started cutting the mats in order, making sure my machine was set to the Cardstock setting on the dial. 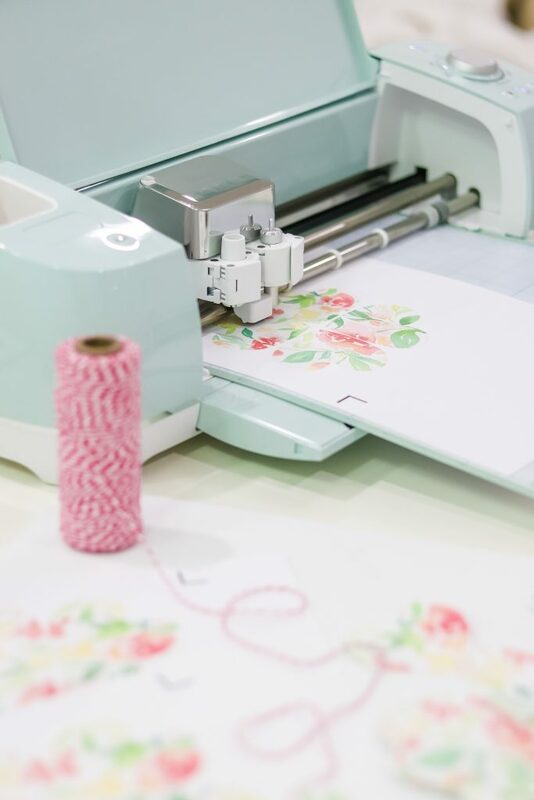 My favorite part is always seeing how intricate this machine can make all the cuts! 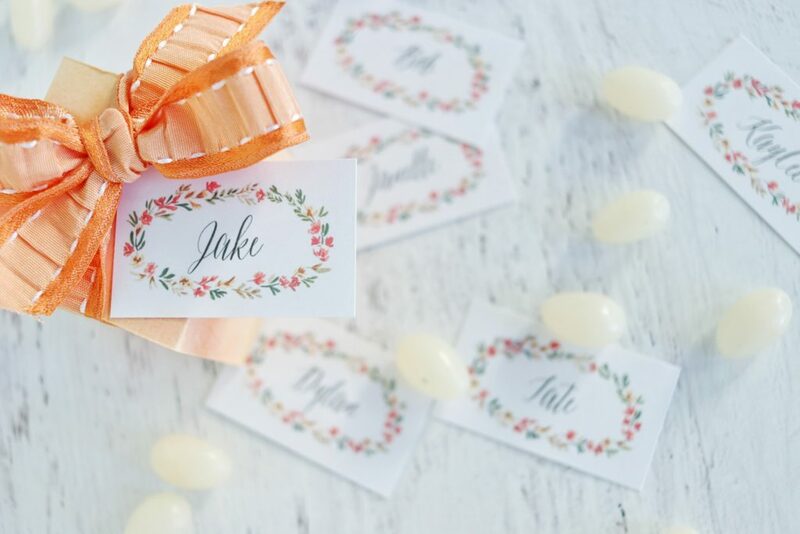 These letters cut out so well even though they are tiny! 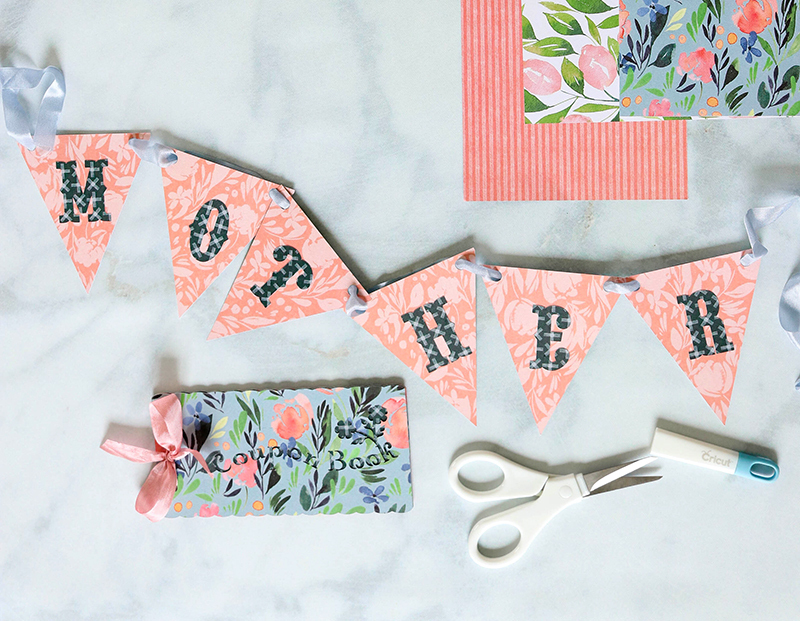 There’s also a bonus Mother Banner that you can cut at the same time! I’m planing to hang it on a chair back, or on a mirror. I like to use a glue roller to place the yellow cardstock onto the ticket shapes. It makes the job go fast and they stick really well this way. 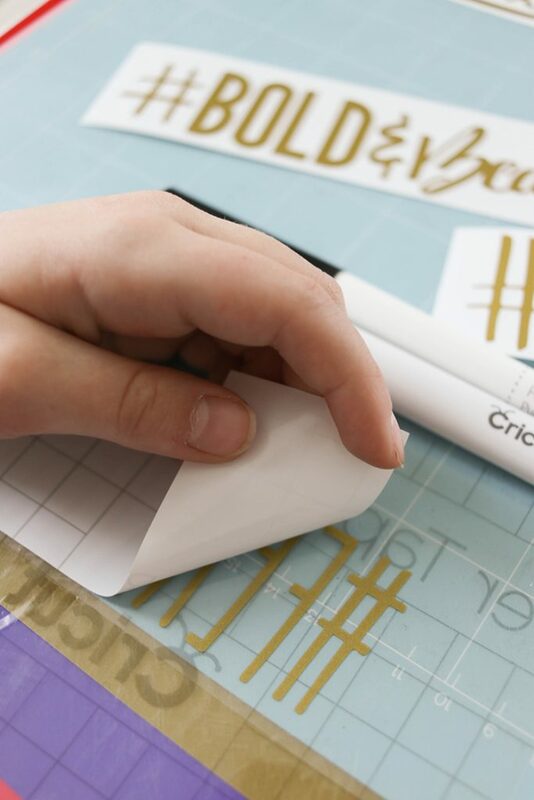 Using my magic glue pen, I can easily make my banner without making a huge mess. 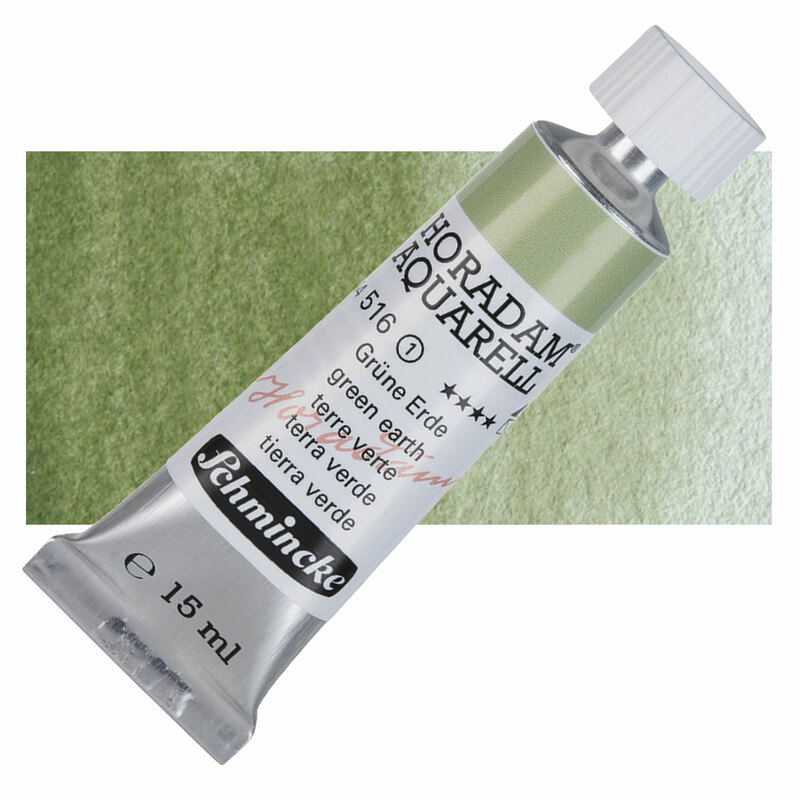 The glue sticks really well, so you won’t have letters falling off like sometimes happens with Glue sticks. Mine were always dropping letters here and there. 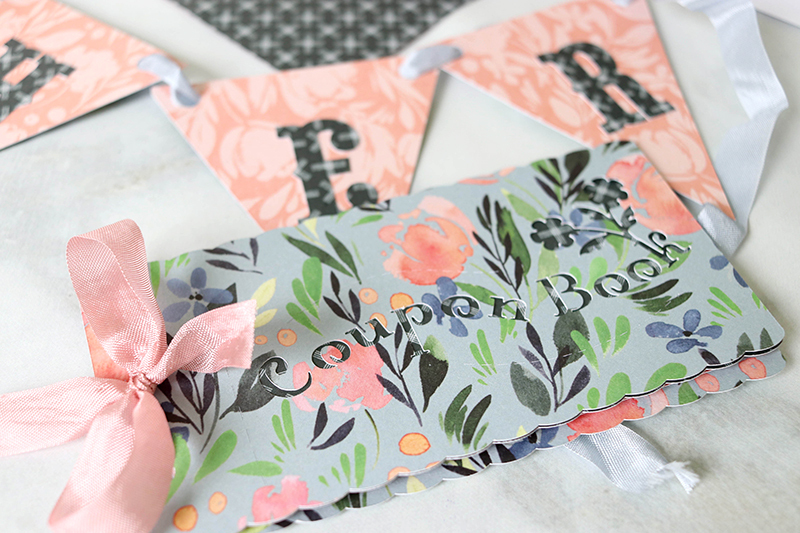 Once all the coupon book ticket sheets are assembled you can tie them all together to the covers with some cute ribbon. 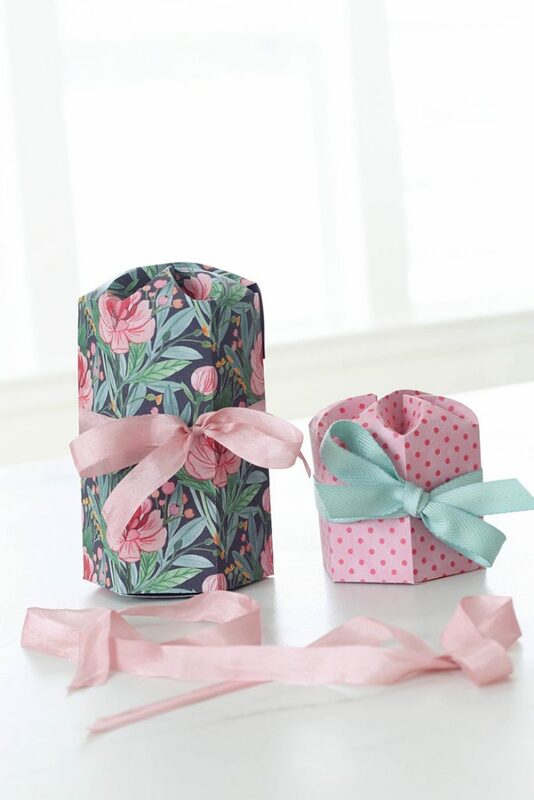 Honestly, I’m probably going to gift some Belle Citron paper packs this year with the coupon books and banners because it makes such a cute gift! 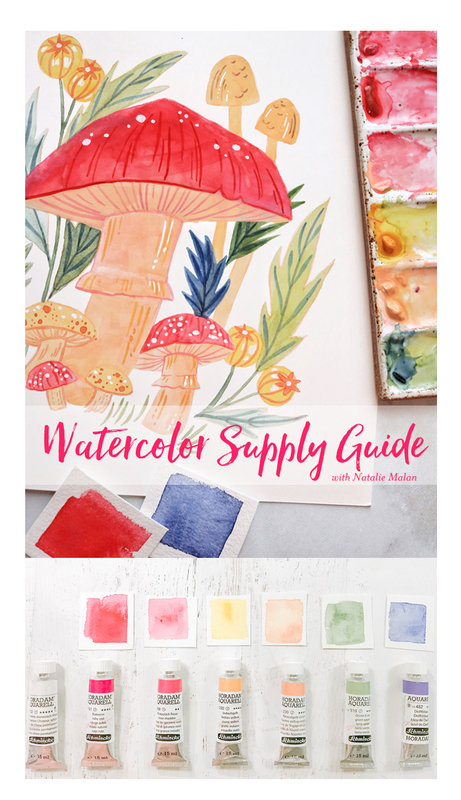 I hope you enjoyed this little tutorial and project links! Leave me a comment or give me a follow on Facebook or Instagram to see and hear the latest! 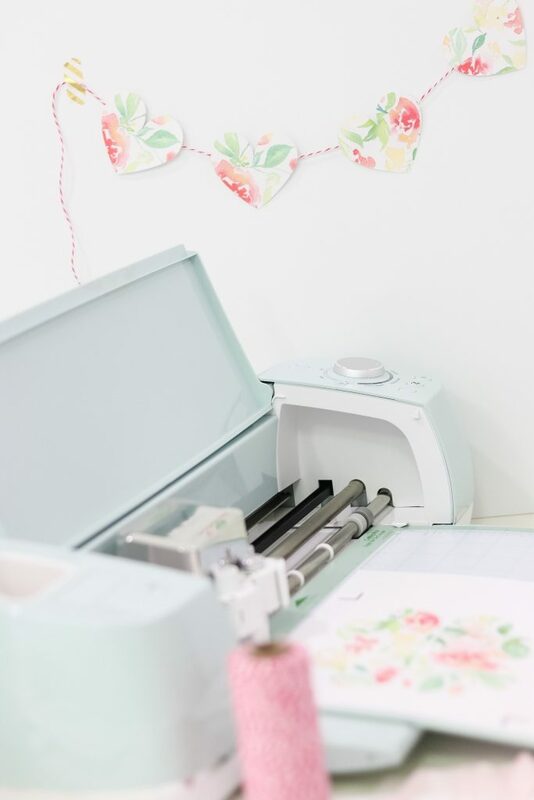 And check out more about our Wild Rose Cricut Projects! 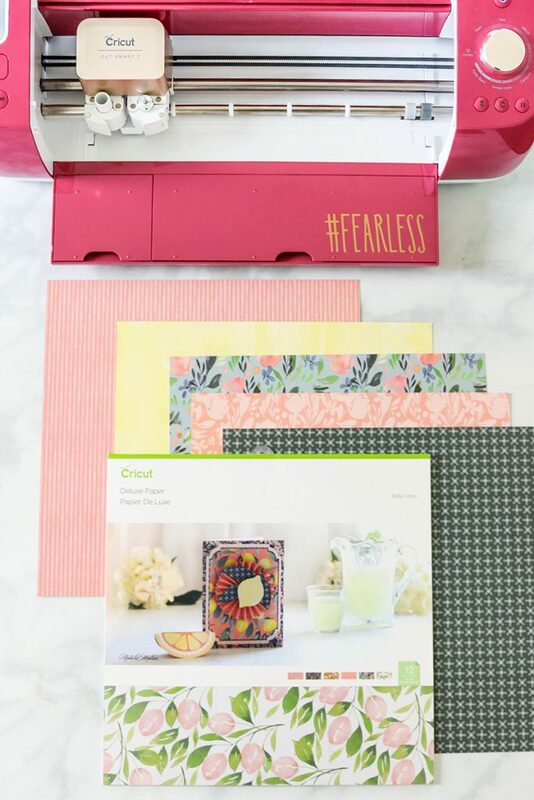 You might be a fan of these Cricut projects too! 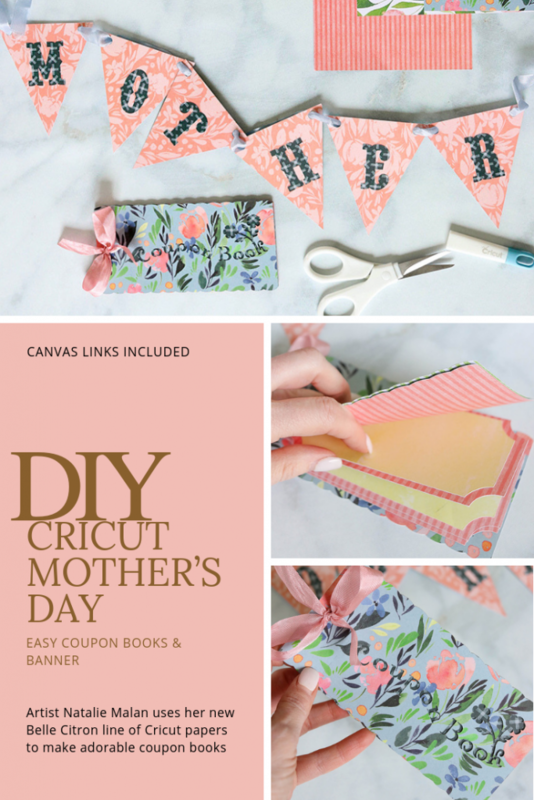 How can I make Mothers Day Special? My favorite gifts from my husband and kids have been service all day and a fun meal together. 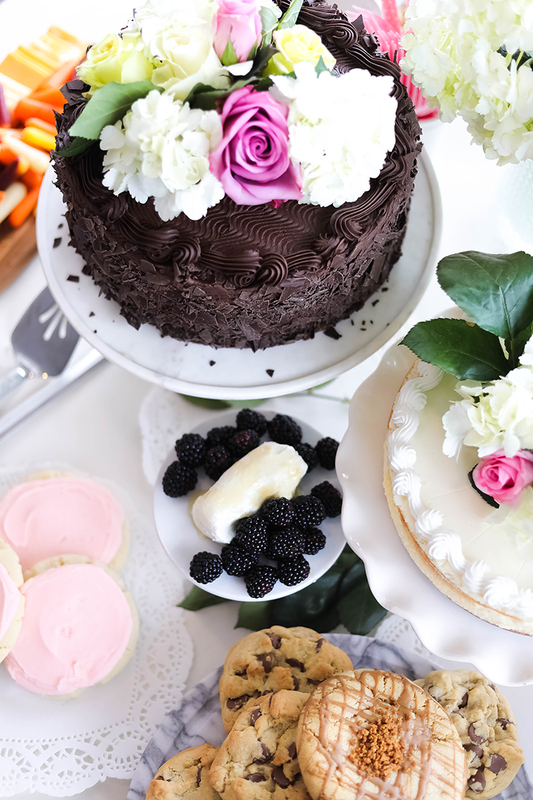 How can I surprise my mom on Mother’s Day? 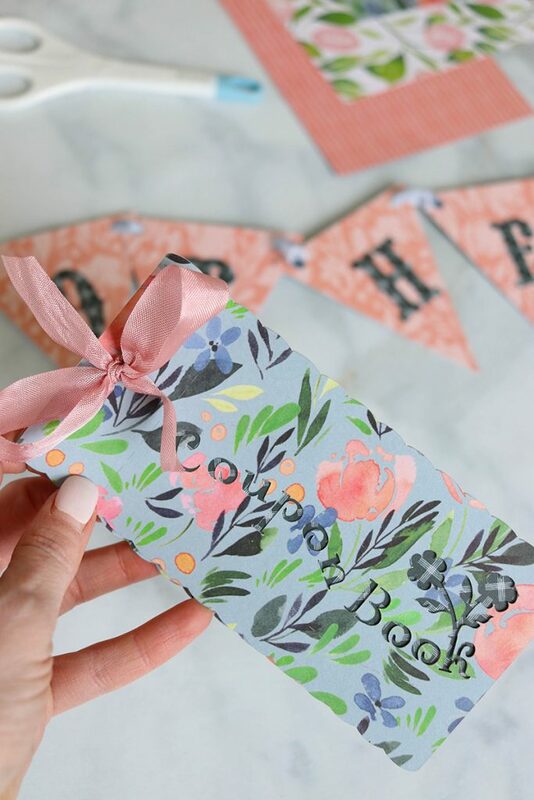 When you make the Mother’s Day coupon book, it might be fun to hide the coupons around the house in places that mom can find them as she goes throughout the day. It’s so fun to see little things all day long. You could even do a scavenger hunt. 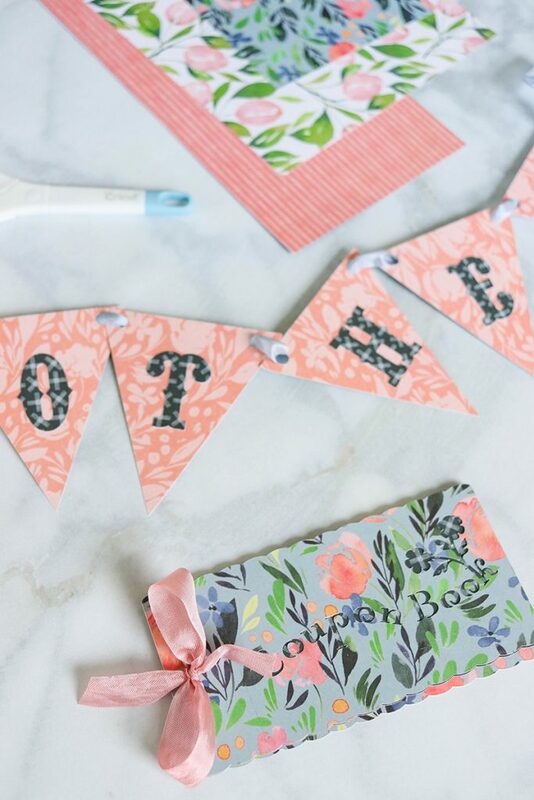 My favorite Mother’s Day was the year we surprised my mom by telling her she was going to be a grandmother! 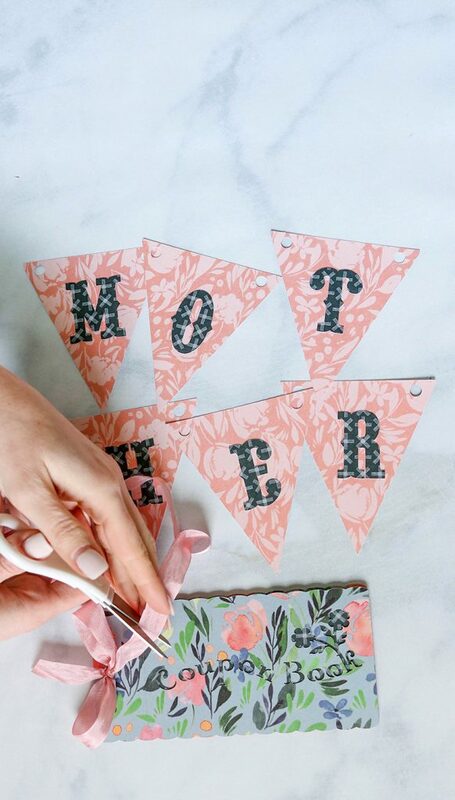 What do you do for Mother’s Day? Tell me in the comments below or join the fun with us on Instagram and Facebook! I’d love to hear all about your ideas and stories! 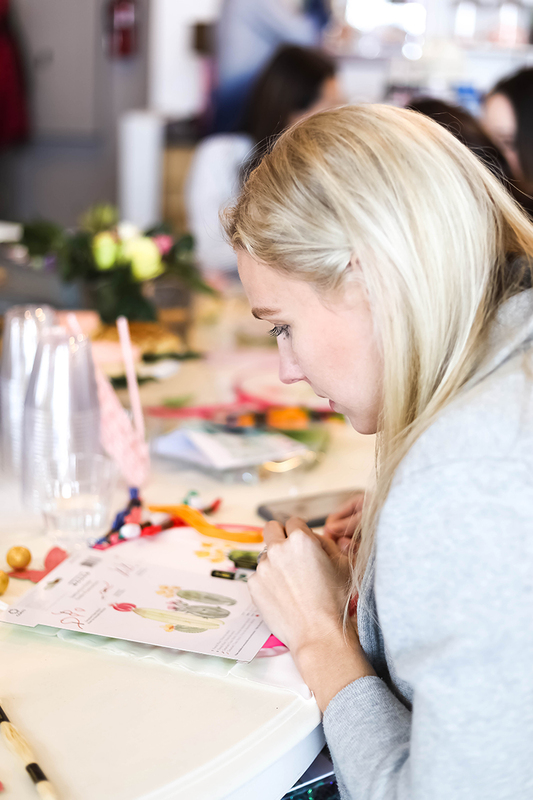 Looking for a fun excuse to get together with some friends and beat those winter blues? I know I sure was, and the release of these lovely panels was the perfect excuse to throw an intimate little soiree with friends. 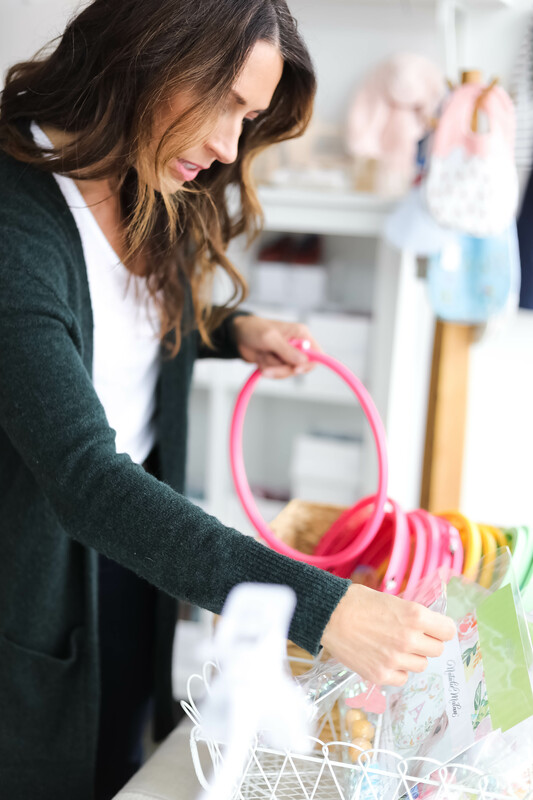 Our lovely friend Amy offered up her stunning store in Daybreak: Annabelle Childrenswear, for a venue, and we knew we had a winning combo. 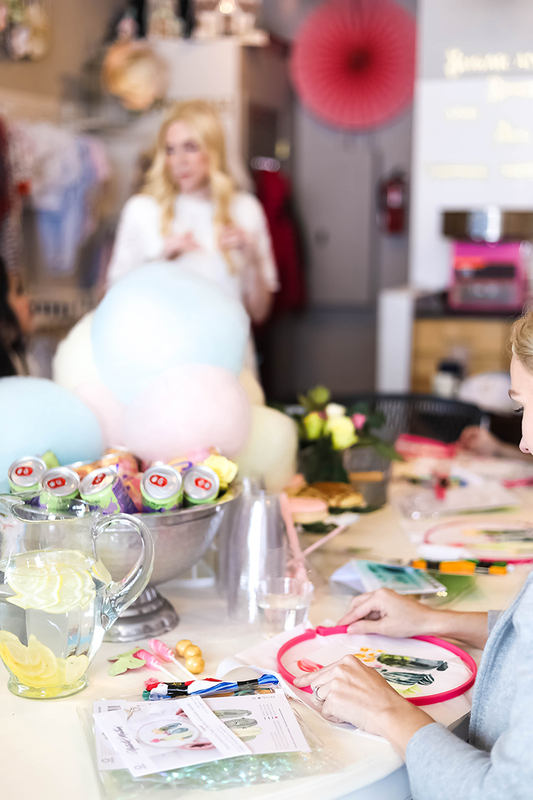 Annabelle’s specializes in European childrenswear and gifts and has such a cozy atmosphere for events like showers or workshops. And the best part is you also get Amy with her charming British accent and warm welcoming personality! 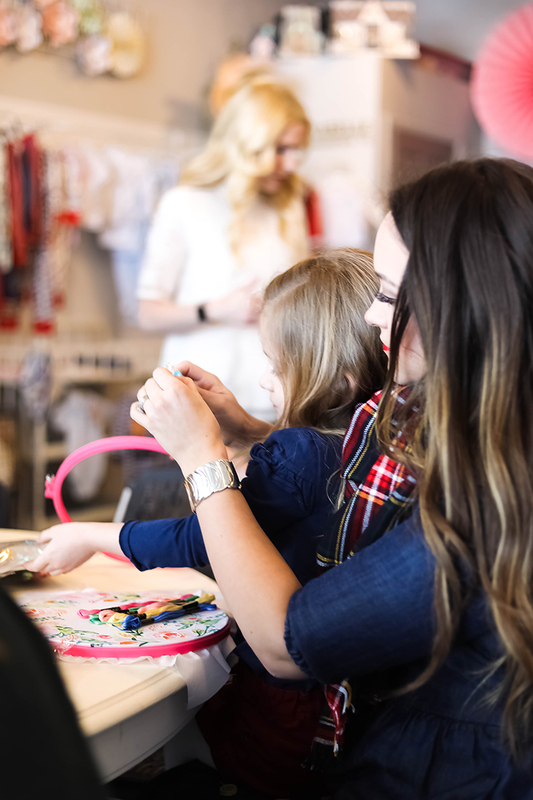 They’ve recently started an adorable story hour and music time as well. More info here. The first thing we did was package up kits for everyone. 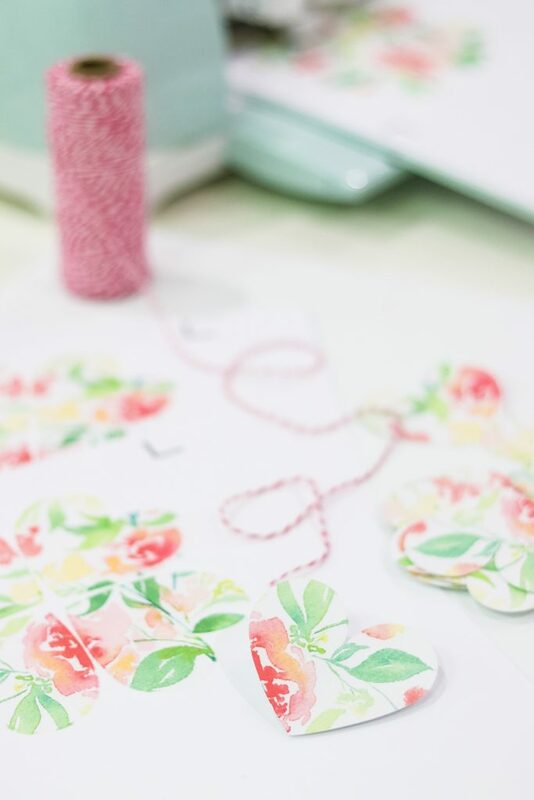 On the back of our embroidery blanks, there are thread color suggestions to make it easy to match threads perfectly to your project. 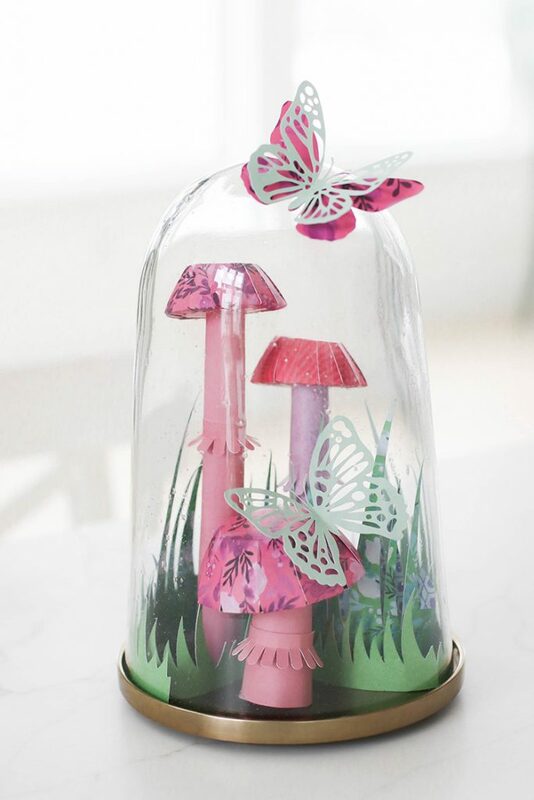 I used large lip and tape cello bags from Amazon, swirl lollipops, golden gumballs, and iridescent paper shred all from the Walmart party aisle to finish off the kits. 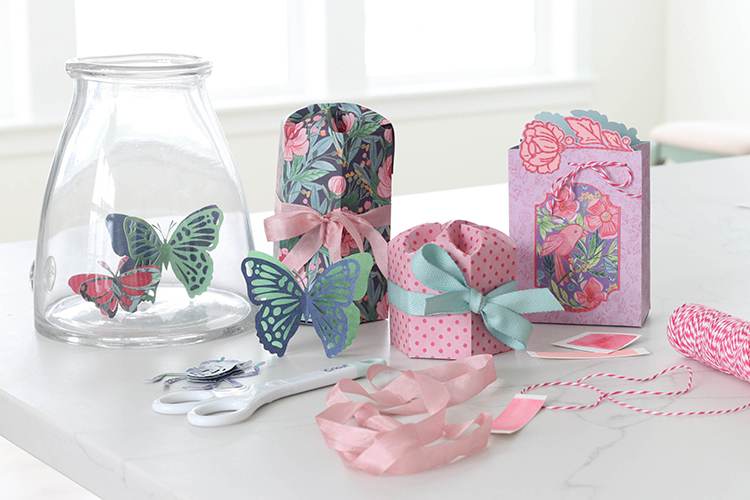 I also used my Cricut to cut little paper butterflies to hold each embroidery needle so they wouldn’t get lost in the packaging. 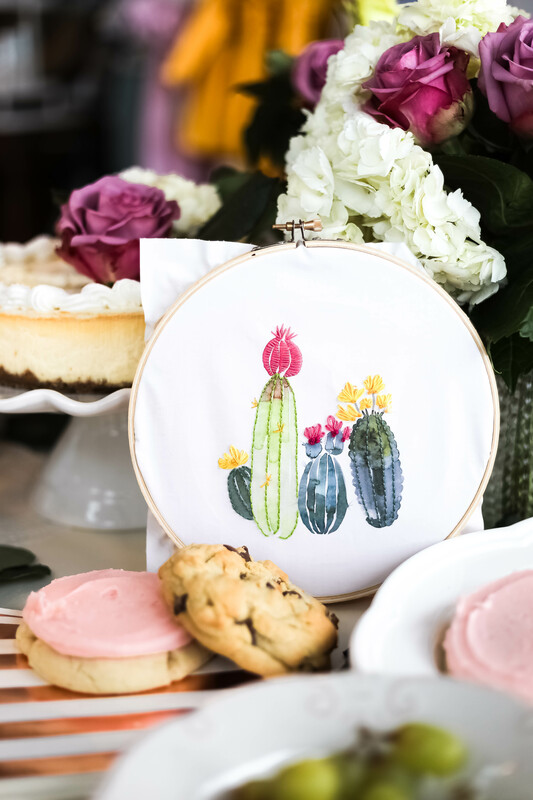 Embroidery Panels: we used the Natalie Malan Cacti and Wreath available in Walmart stores and for pre-sale on Amazon. Treats! We are lucky enough to have a Crumbl Cookies nearby so we picked up a party pack of chocolate chip and sugar cookies! 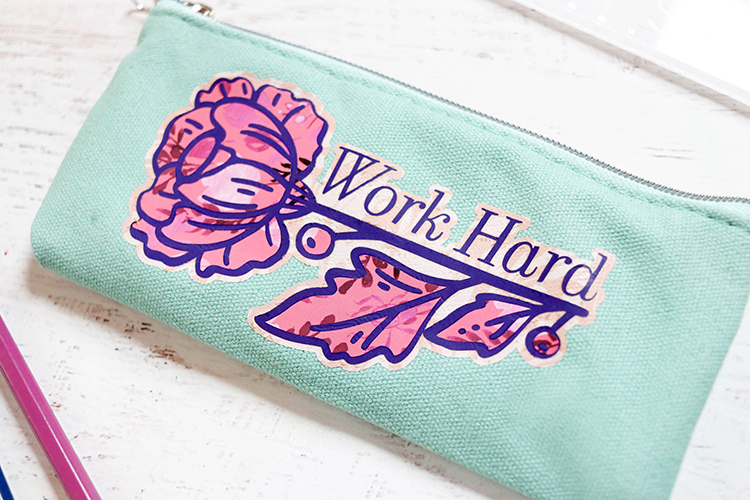 Our new Wild Rose Cricut Design Space projects are out! 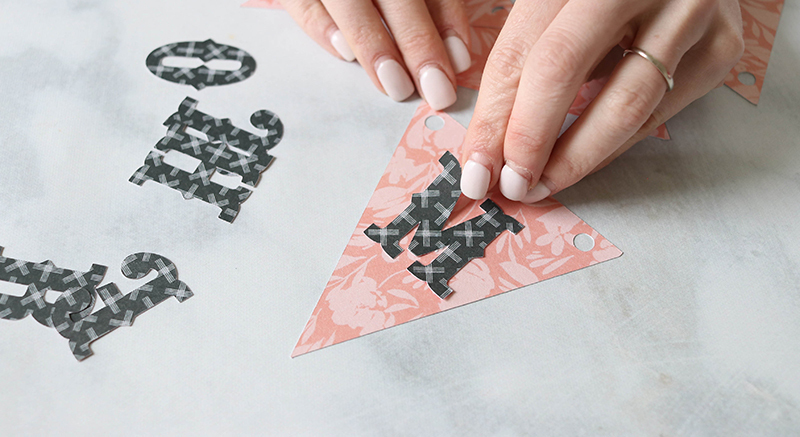 I’m SO happy you can start using these cut files! 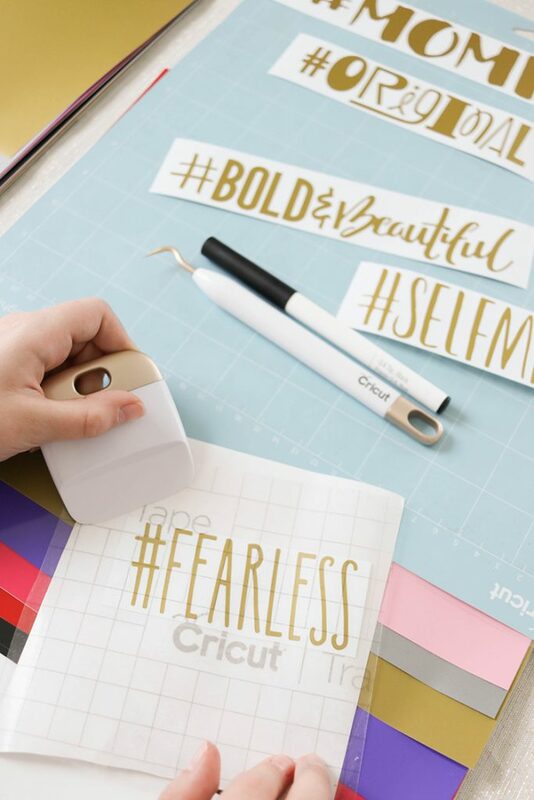 They are even included in Cricut Access! Whaat!!! You heard me right. 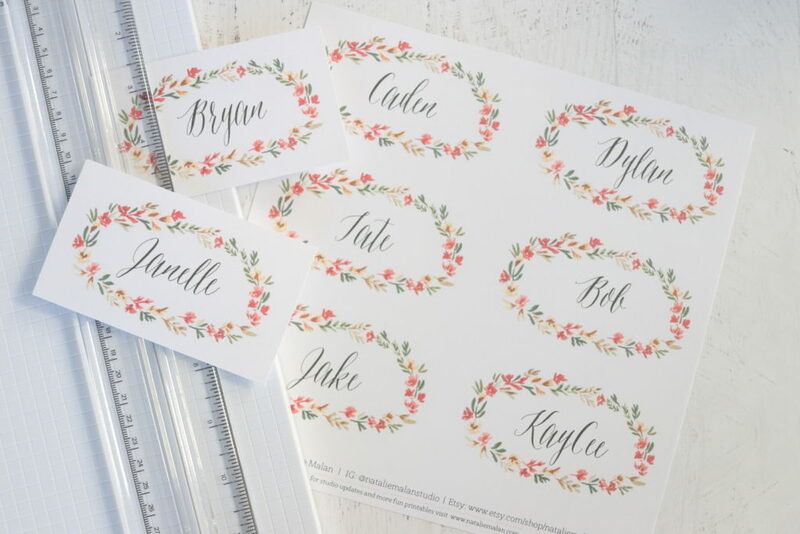 They are included in Cricut Access! 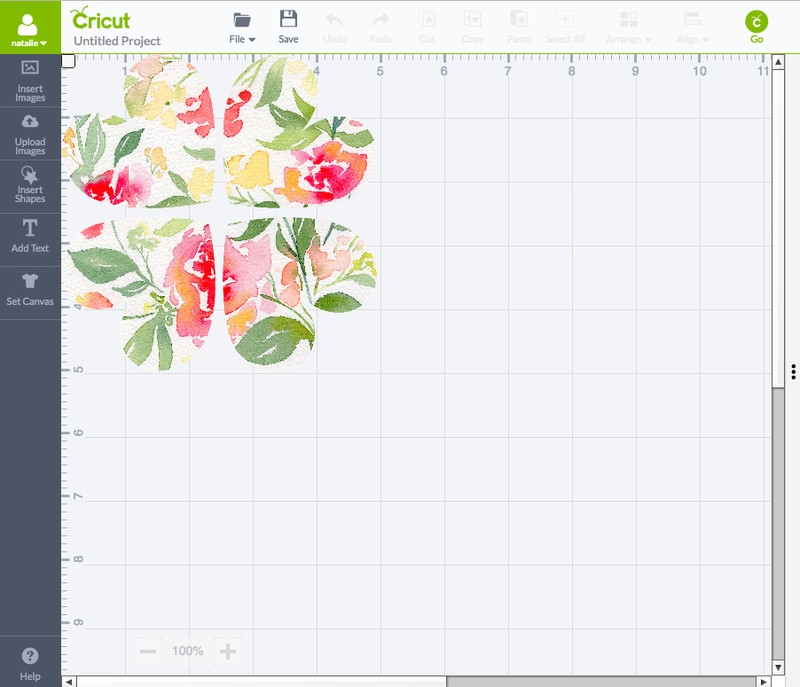 If you’re not familiar with Cricut Access it’s a subscription to a gigantic library of Cricut cut files. Find out more about that here. And not to worry if you aren’t an Access member, you can get the files separately, or in a bundle too! 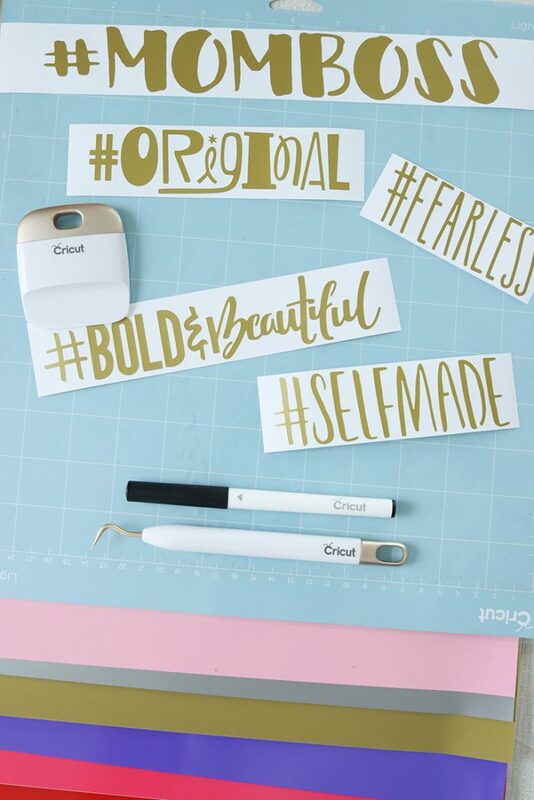 Huge thanks to the lovely folks at Cricut for making sure you’d get to play with our files early! We really pushed the boundaries when designing these and I’m so excited for you to try them out! 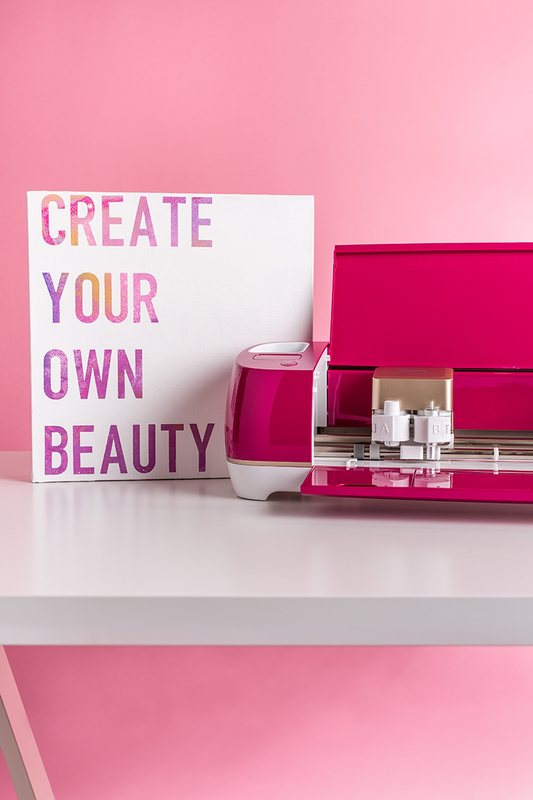 If you have a Cricut you can find them here in Cricut Design Space. 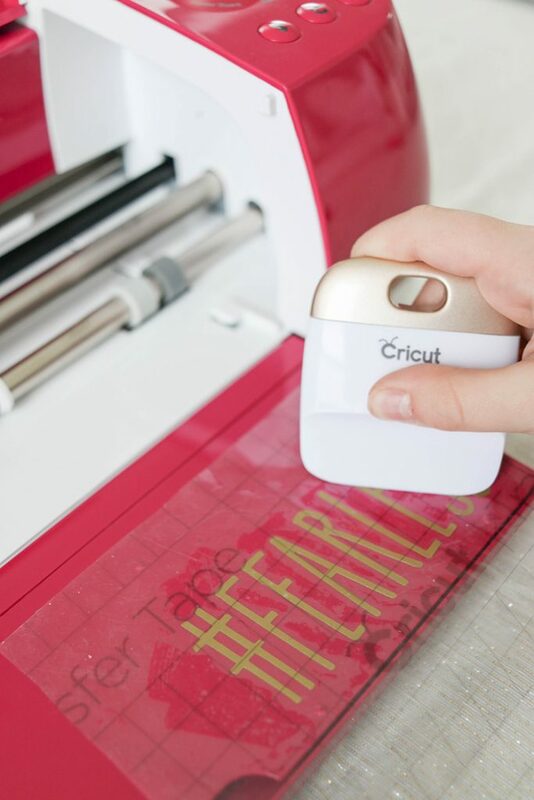 If you don’t have a Cricut – you can still look them up in design space! All you need to sign up is your email. 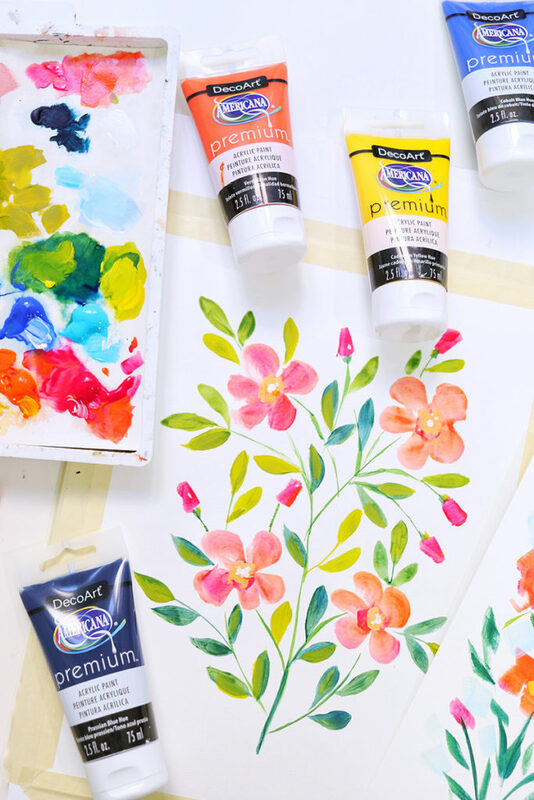 It’s actually free to sign up and you can play with EVERYTHING on your canvas and it doesn’t charge you until you hit the very last button to cut, and you can see how much your project would cost! Same thing with the Phone or Tablet app! 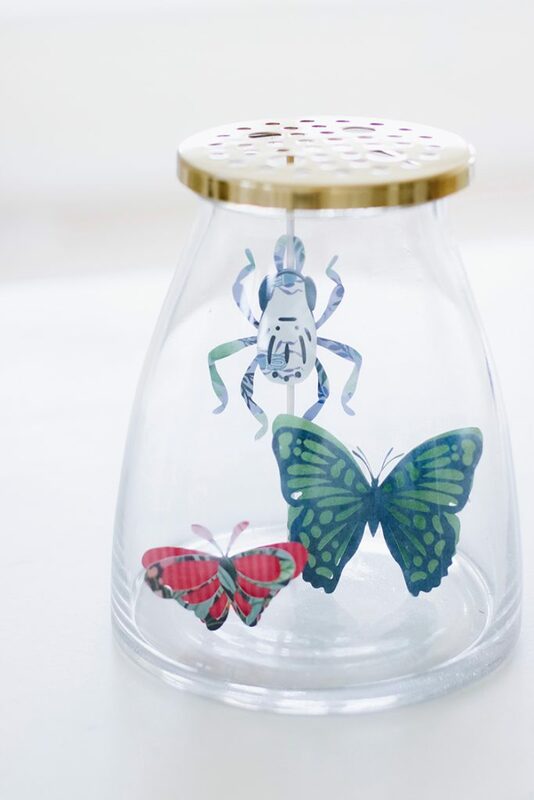 You can even save your project. 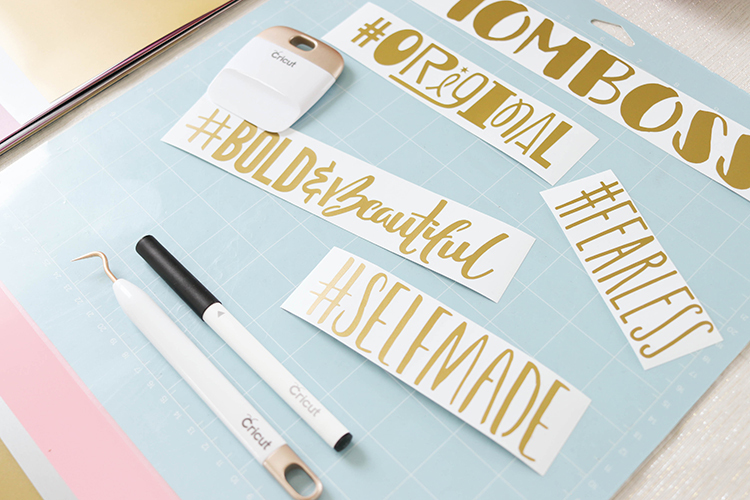 I think it’s a fun way to see if getting a Cricut is right for you (which let me tell you right now – it probably is). And guess what else???? 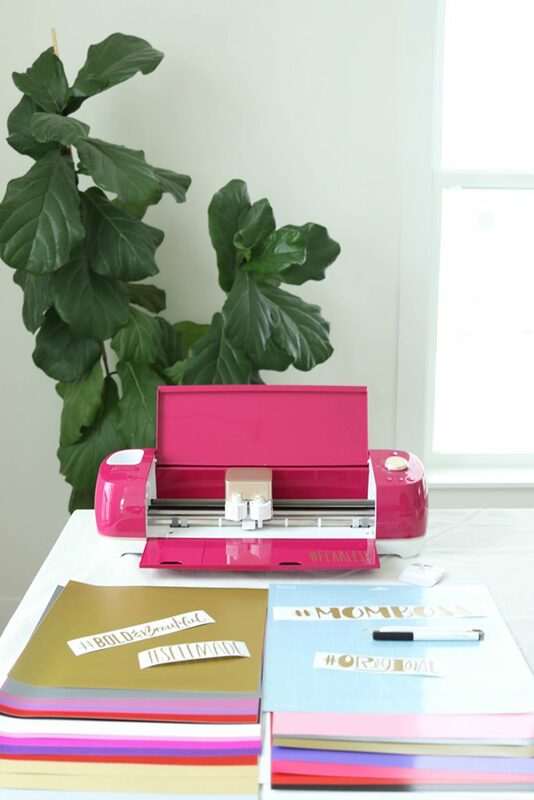 All our new lines of Vinyl, Iron On Vinyl, and Paper are hitting Joann Stores ANY day now as well!!! 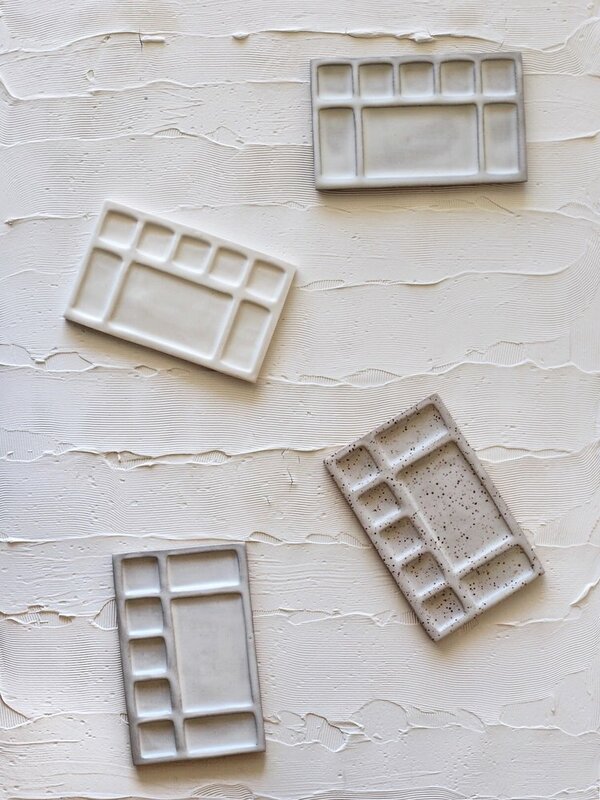 Be sure to check them out and tag me @NatalieMalanStudio if you get to see them in person! I can’t wait to see the display. 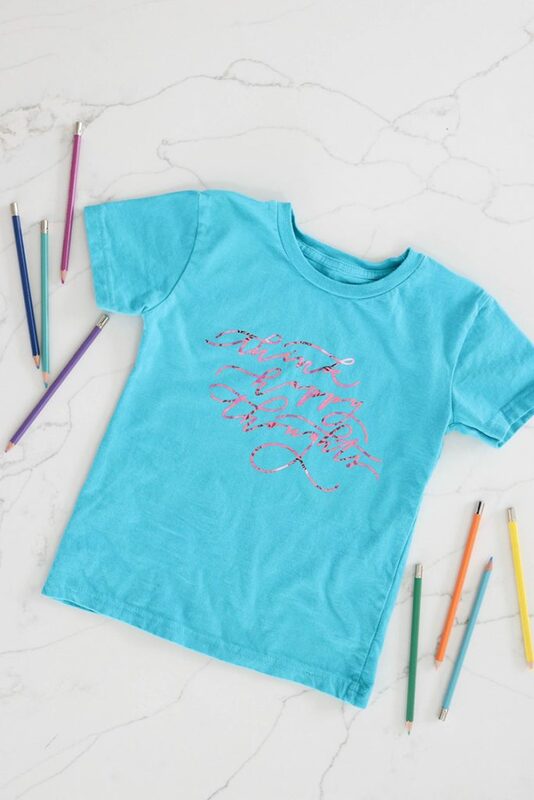 This is our first collection with our new updated logo by Melissa Esplin of Calligraphy.org, and I can’t wait to check it out. She really knocked it out of the park! This post has been a long time coming! 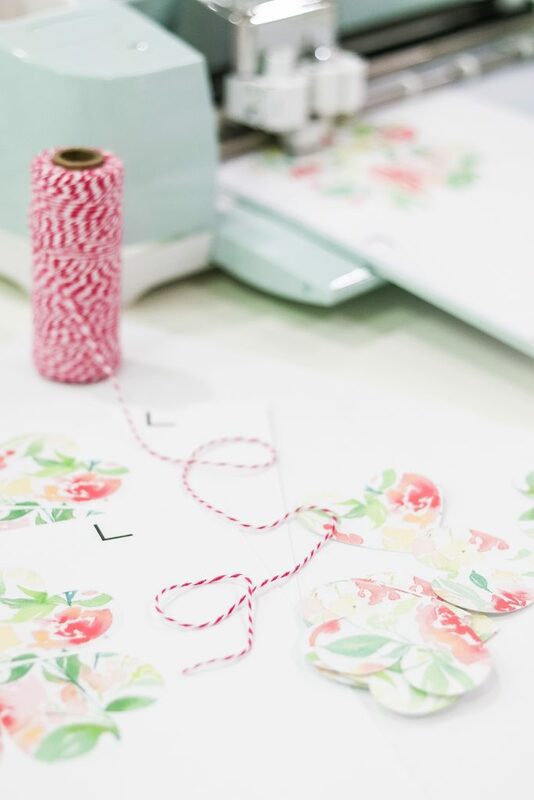 Now that the blog lets me post photos, I have plans to update you with more great supplies I love. 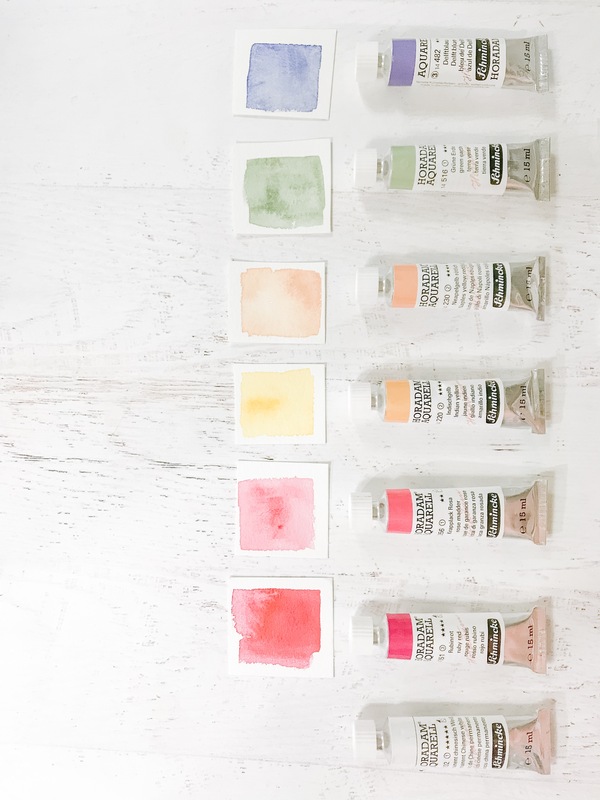 This Post is to let you know all about my favorite new sets of colors that are on the higher end of the spectrum price wise. If there’s enough interest I may also consider posting my tried and true favorites from the past 6 years as well! So let me know on Instagram or in the comments below what you’d like to see! I’ve personally been buying Schmincke tubes for a couple reasons. The first reason being really shallow, and that I like their labels. If you know me at all, I take the labels off of everything so that’s a huge compliment in my book. Seriously, my poor husband can’t tell the shampoo from the conditioner. The real reason is because I love their color range. 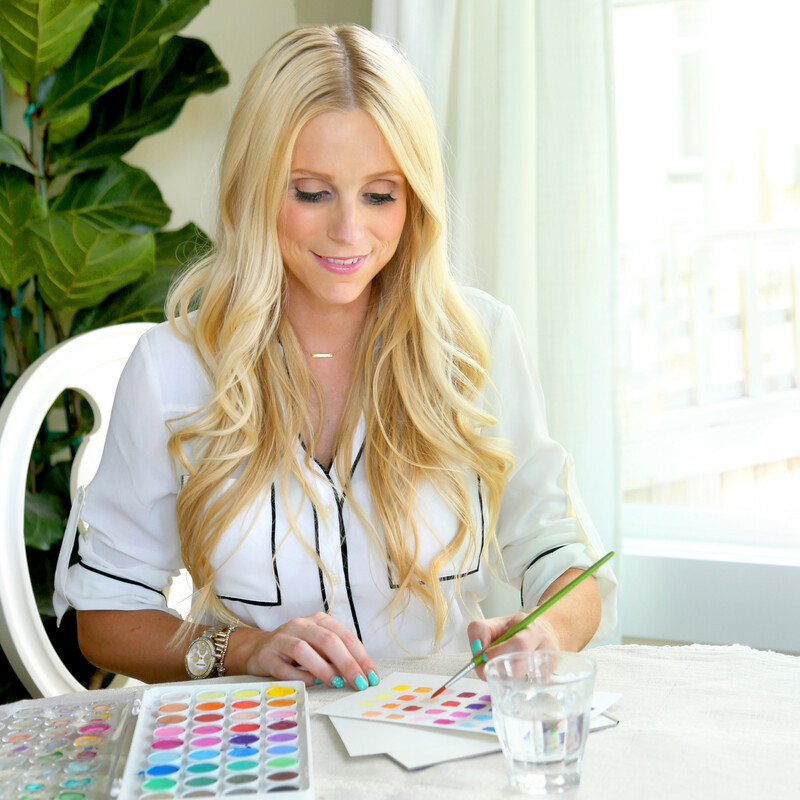 I prefer to buy colors that are a little unique and non traditional. 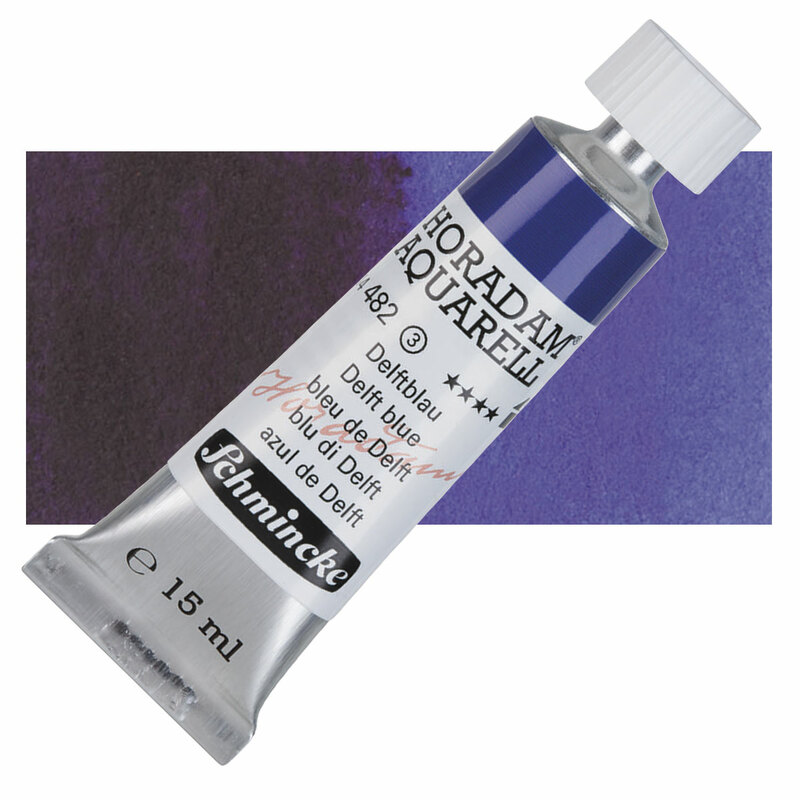 These are artist quality which means your originals, if cared for properly and kept out of direct sunlight, will last a long time. 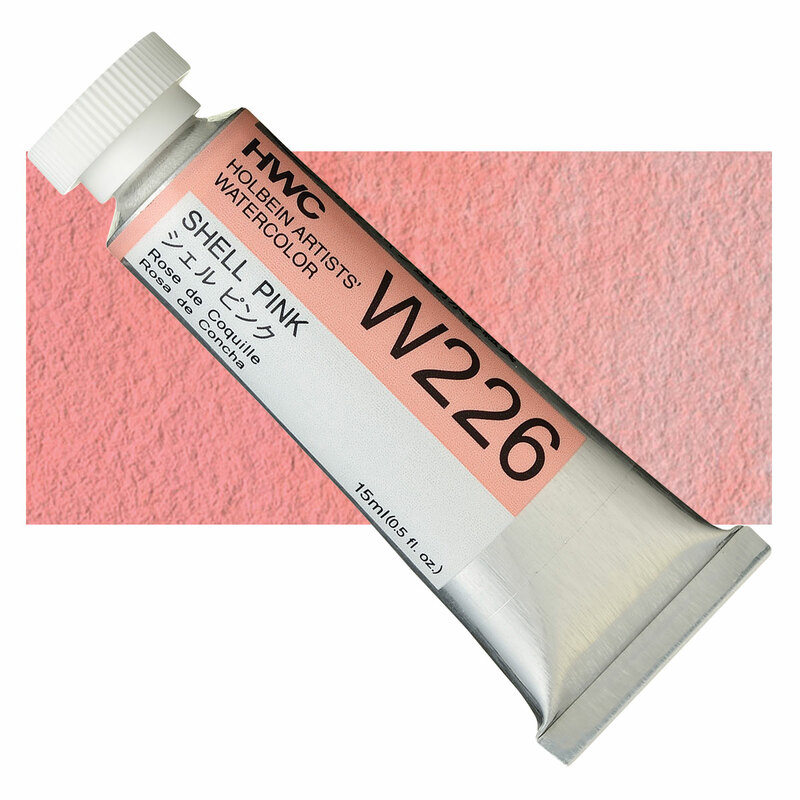 I also like the mixing capabilities and color strength of professional colors. Since most of my work is for reproduction purposes the brightness of the color is important to me, because it gets dulled down quite a bit by the time it prints. And the last reason being that I love tubes because I’m adoring my new By Priscilla Lee ceramic palettes SOOOO MUCH and I love being able to add little bits of paint to her pretty palettes and swoosh the colors around. 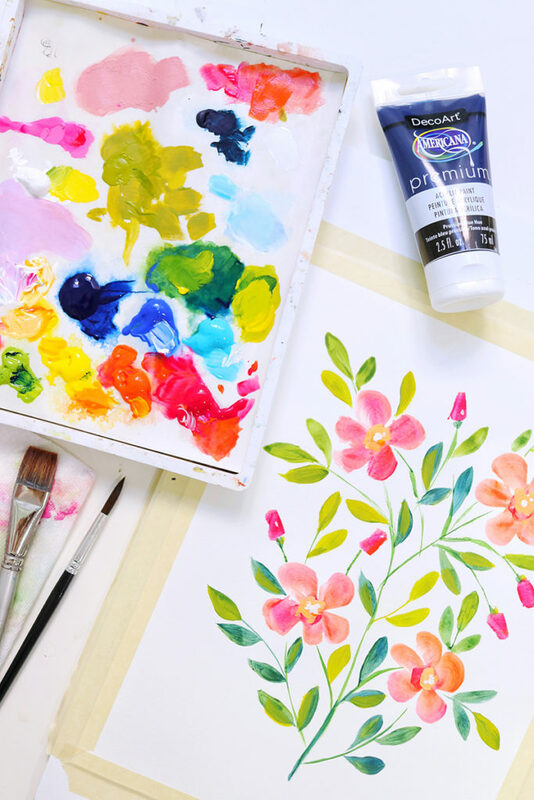 They make me happy and want to paint. 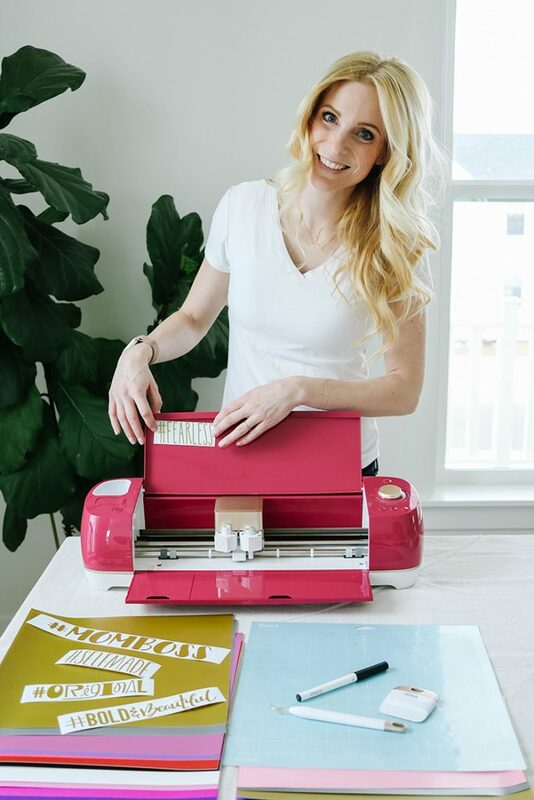 We’ve been Instagram friends for a while now, and I was so excited when she said she was releasing these that I asked her if I could preorder mine because they are sooooo hard to find! 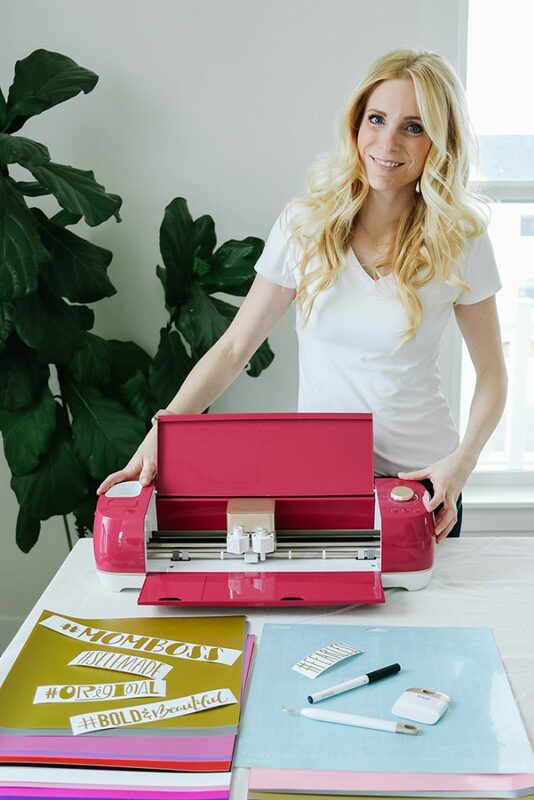 She makes them all by hand in her home studio and come beautifully packaged with protective bumper feet so you don’t scratch your desk. I can’t say enough good things about them honestly. So if you are interested, get them while you can! You can’t say I didn’t warn you. Handmade items are hard to find and I waited 18 months for mine! 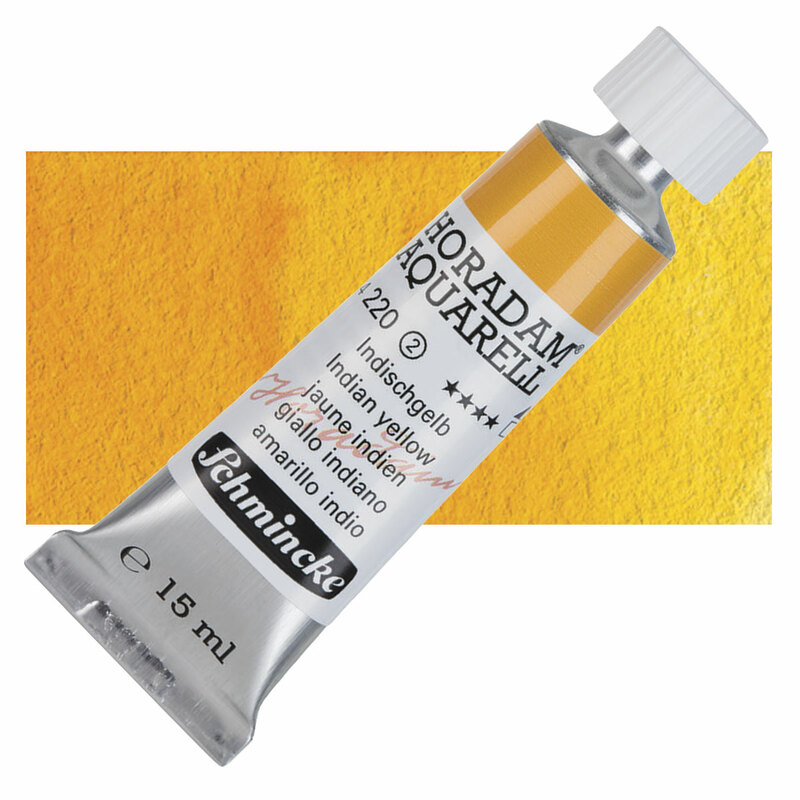 I also bought some Holbein Watercolors listed below. 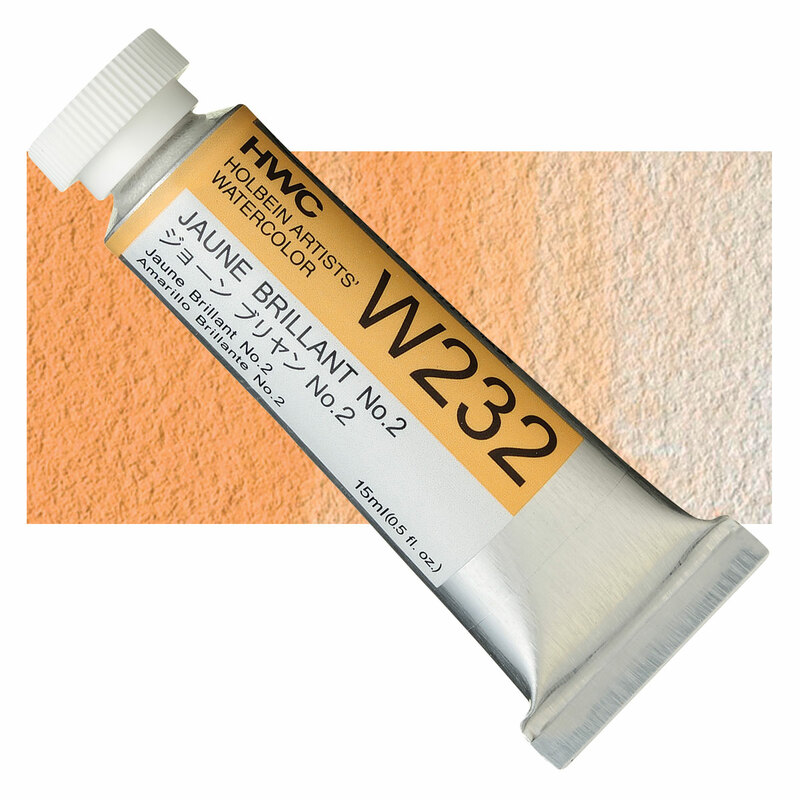 I personally don’t think you need both the Naples Yellow Reddish and the Jaune Brilliant No.2 so I’d get one but not both. I have a slight preference to the way the Schmincke absorbs/lays on the paper, but either color is great. I also picked up the Schmincke Chinese White. 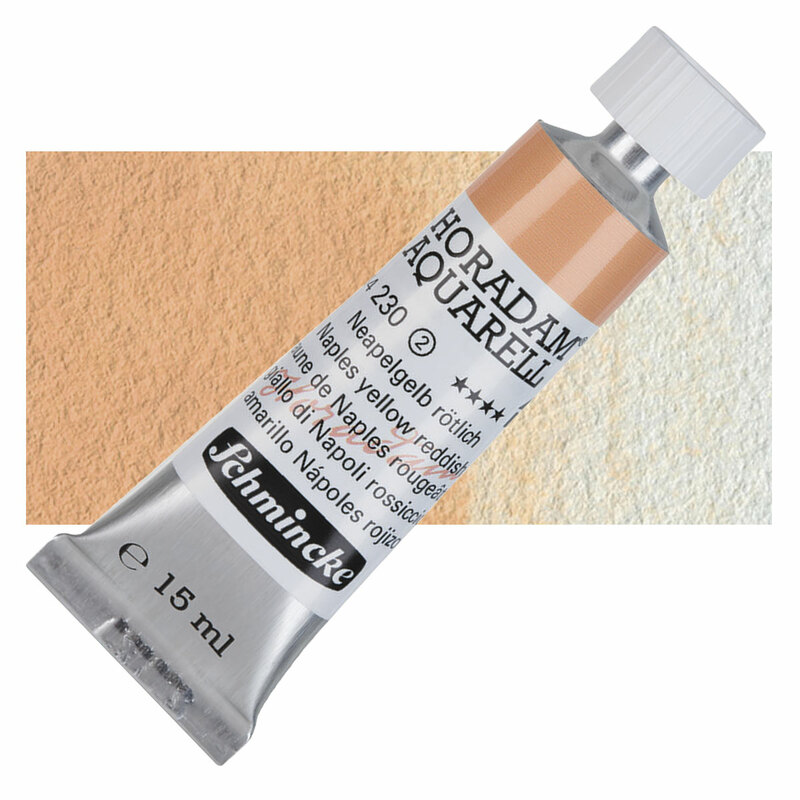 I haven’t used it tons yet, but I really love my PhMartins Bleed Proof white, for opaque whites. 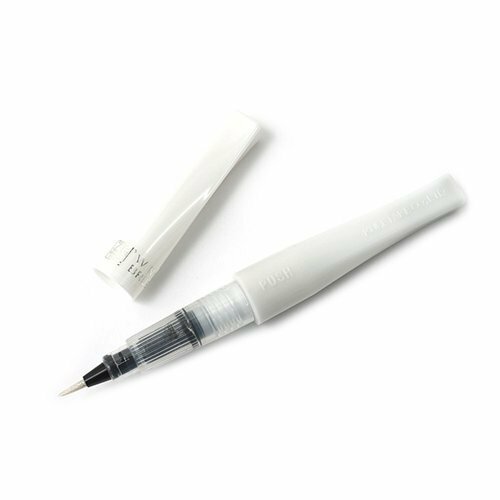 Or check out my post here on my favorite opaque white pen! 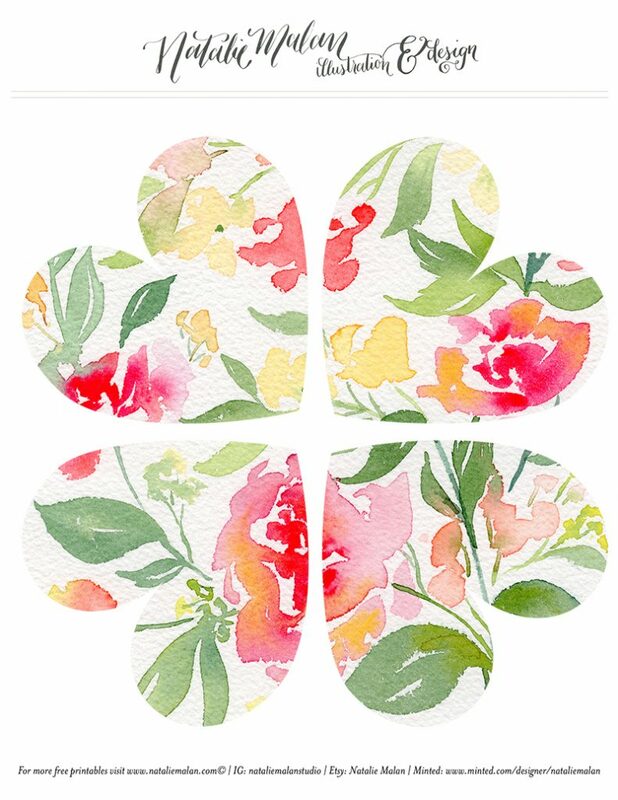 Do me a favor, and pin this post so you can find me again! It’s here! 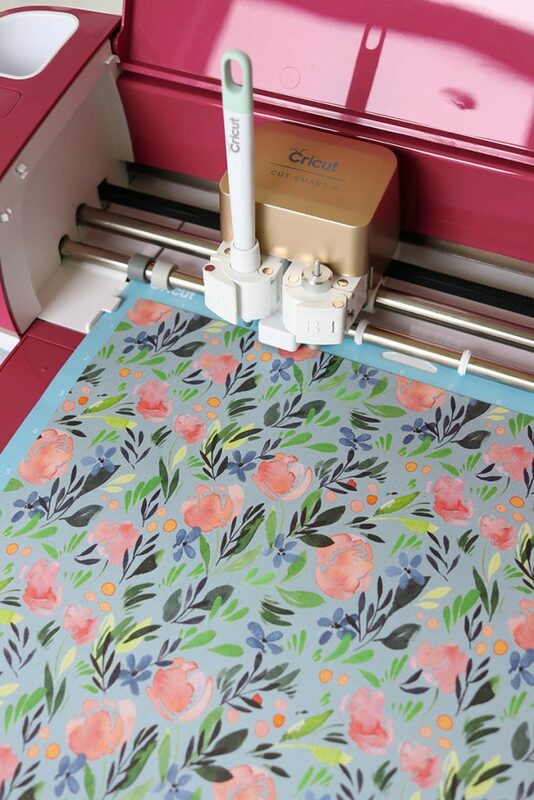 The new Cricut Wild Rose Explore Air 2 machine is out, and I couldn’t be more excited to tell you ALL about it! 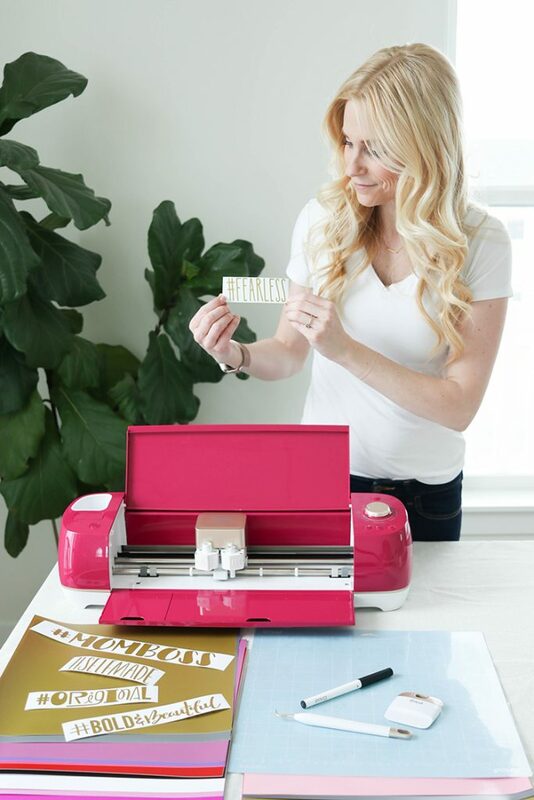 It is an Explore Air 2, which means you can use your favorite Cricut pens as well as a fantastic scoring stylus on your projects! 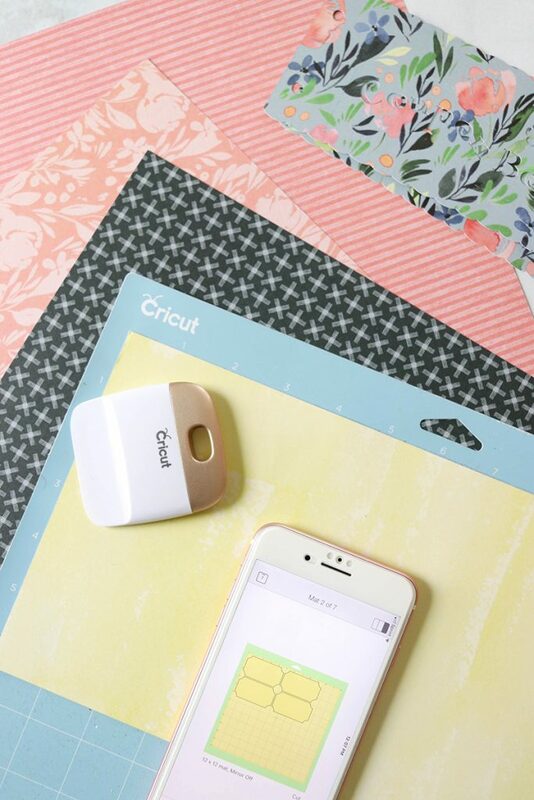 AND it’s an “Air” so you can connect through bluetooth to your phone, computer or tablet! 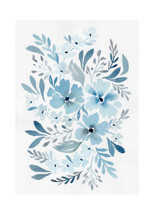 It’s a Joann exclusive color and I am sooooo excited to get it all set up and looking pretty in my craft room! It’s currently only available here online, but will be in stores soon. 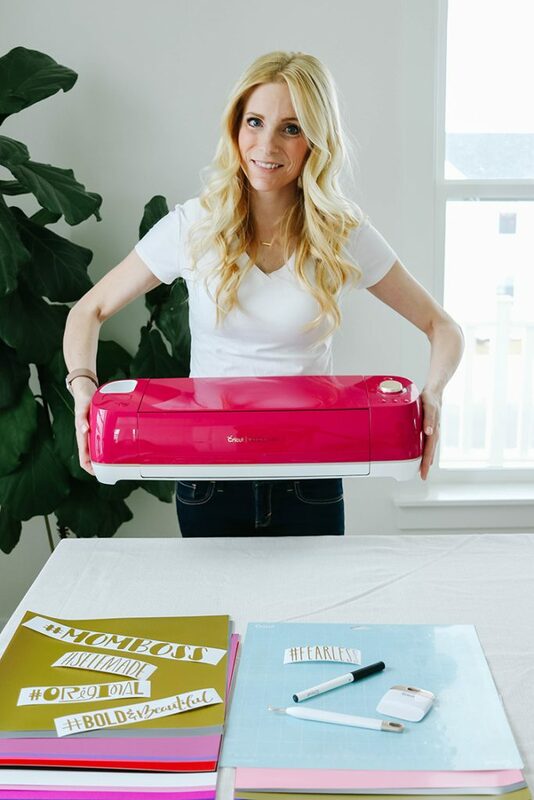 My good friend Kimberly, of Sweet Red Poppy fame, and I recently got together to unbox the machine and show off the exclusive $100 bundle included inside! 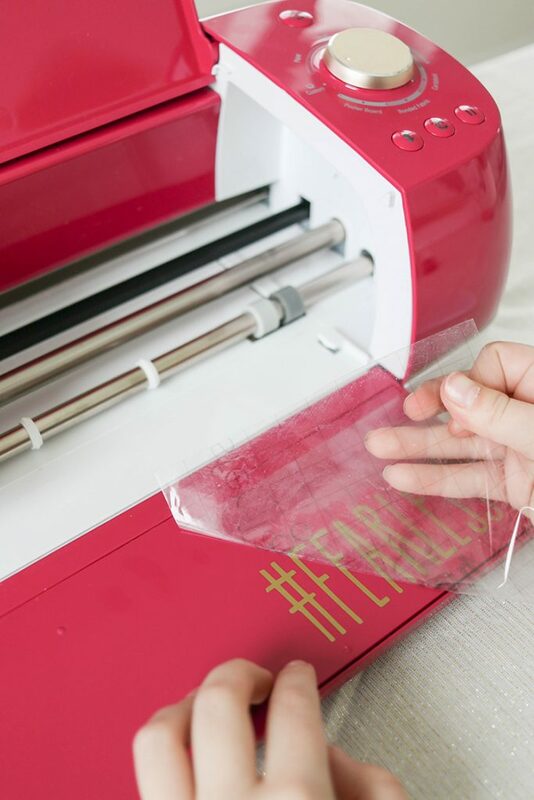 There are several different colors of dreamy shimmer vinyl, permanent vinyl, printable vinyl, as well as a GOLD weeding tool, and scraper for your light grip mat! Watch the video; you can tell we are impressed! 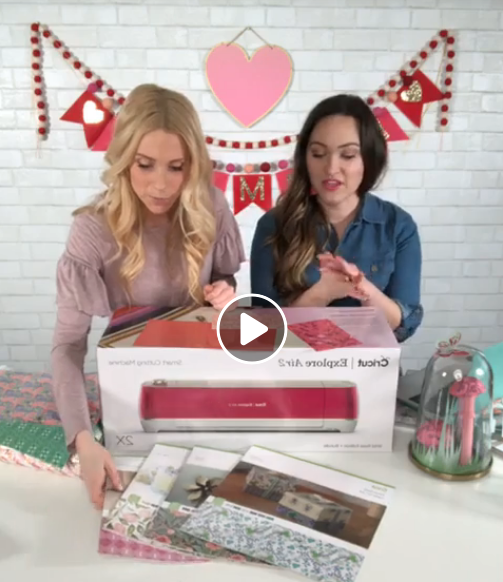 Click through here to watch our fun Wild Rose Cricut Unboxing Video on my Facebook page! 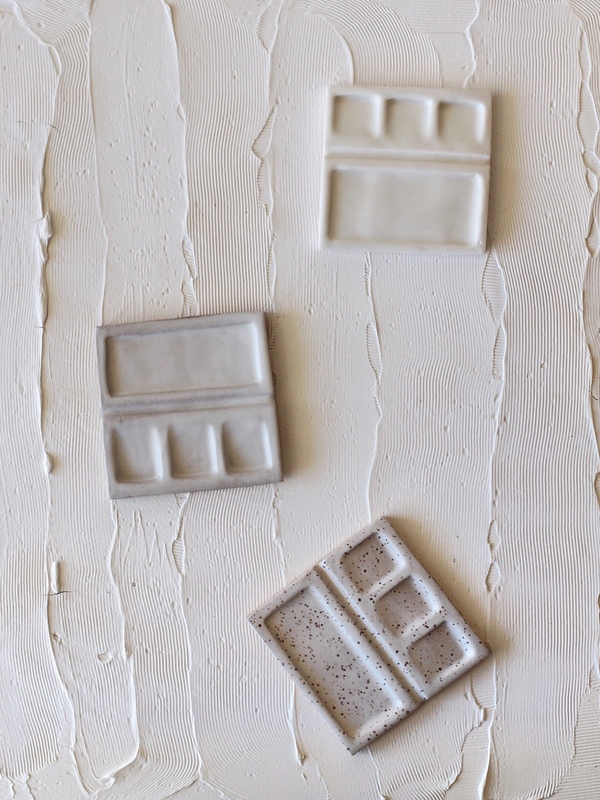 We are also showing you sneak peeks of new product before it hits shelves later this month! 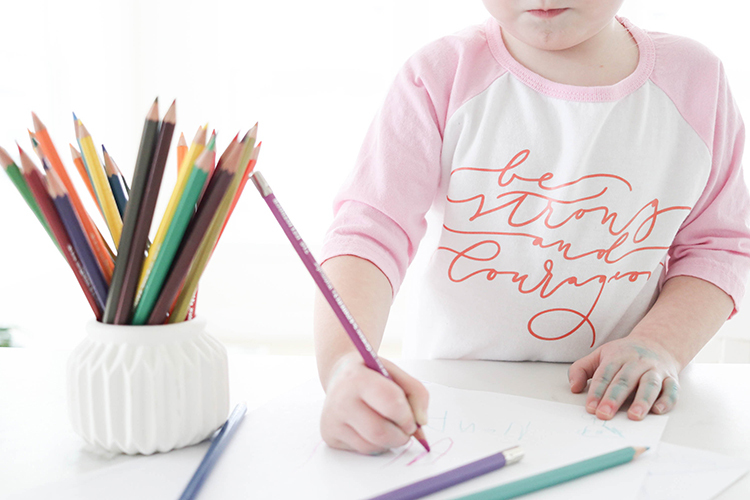 Be sure to sign up for our email newsletter if you are a fan of the lines because we have more fun free things going out to subscribers in the next few months. You can find our sign up here at the bottom of the page. *This post contains affiliate links at no cost to you. 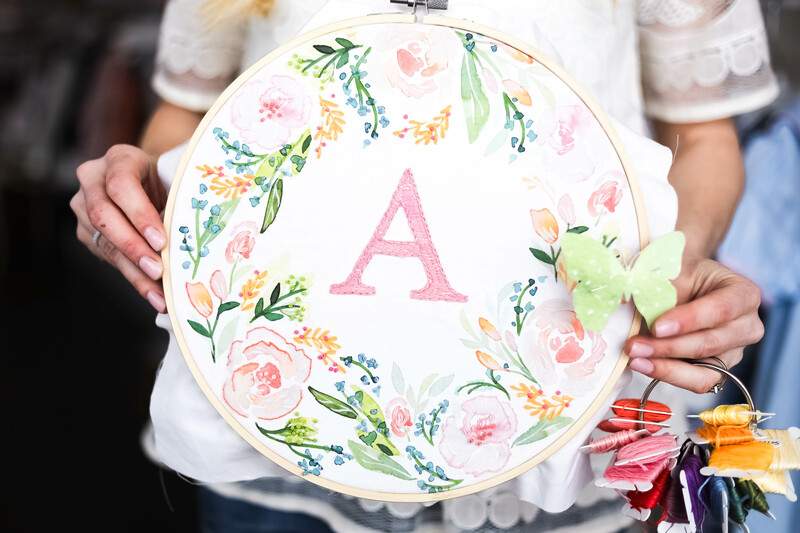 Thanks for supporting our crafting addictions! 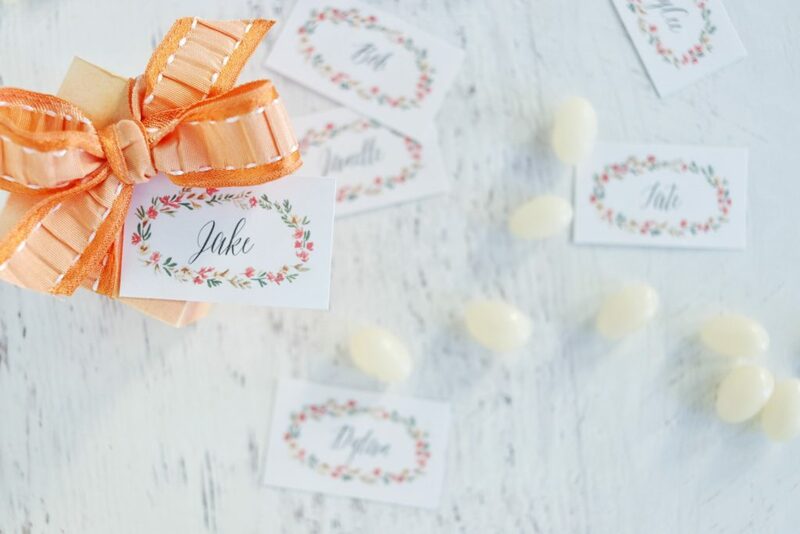 This year I decided to update last year’s post with a new and easy project for Thanksgiving placecards. 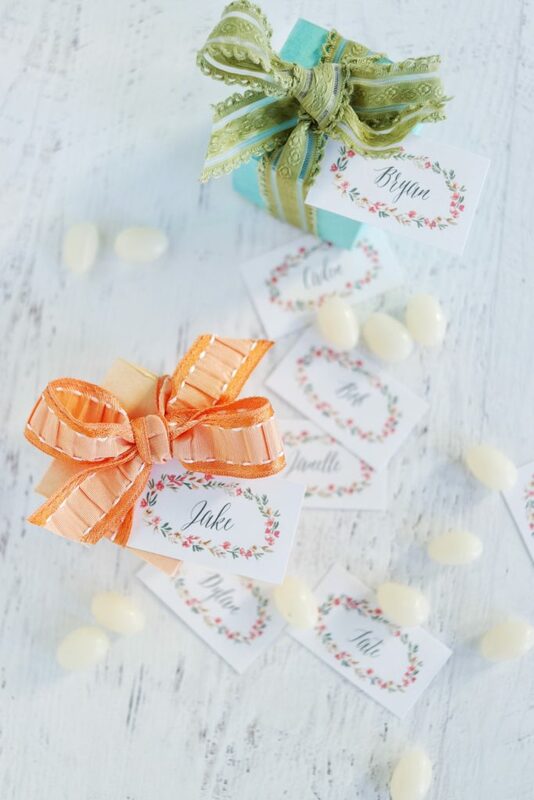 All you need to do is print the flat page of placecards at 50% so they are small enough for tiny name tags on these adorable boxes! 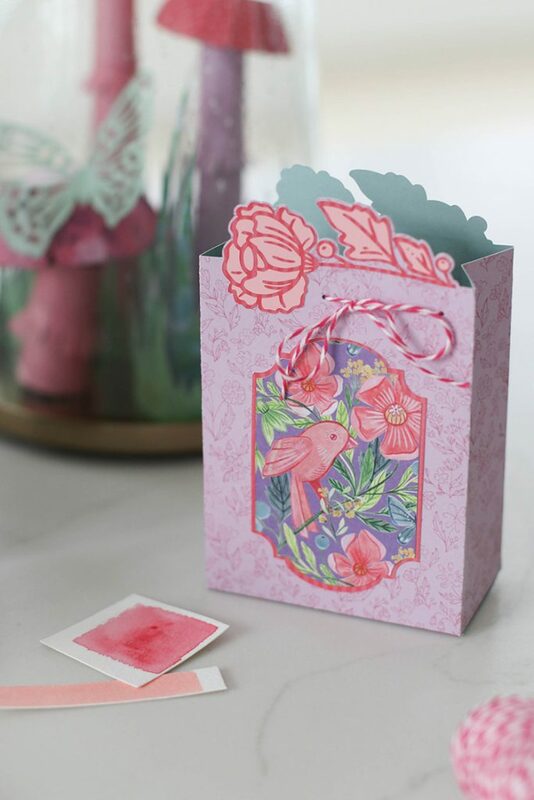 For the adorable boxes I used the new Spellbinders Platinum machine from Scrapbook.com and this double box die. 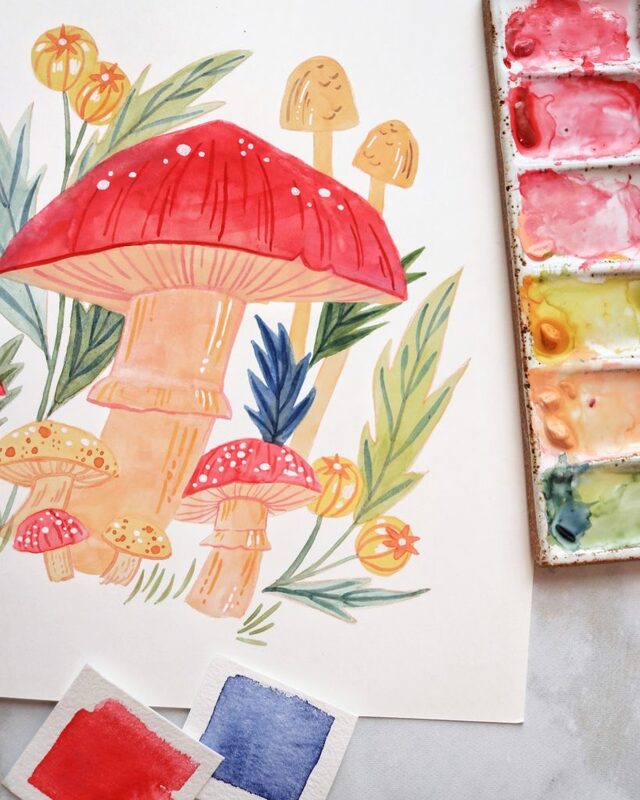 We watercolored our own paper using Canson XL 140lb. And then ran it through the machine. 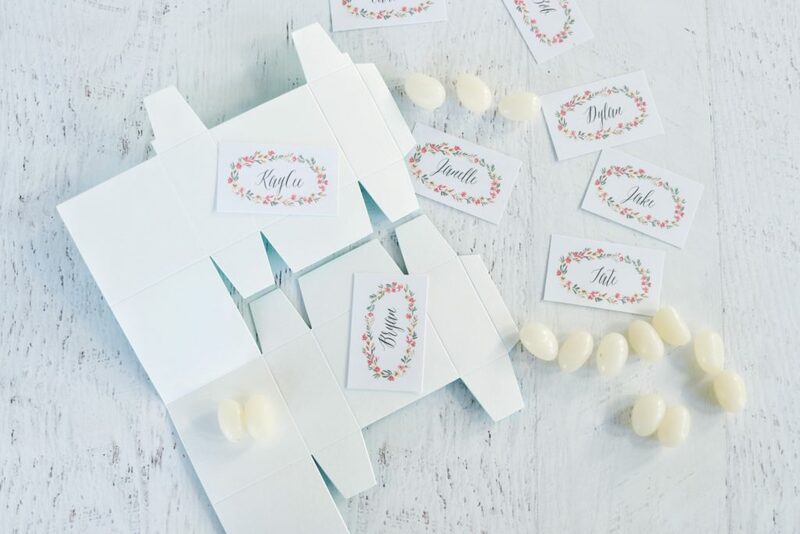 The dies even score the boxes for you so it makes it super simple to fold and hot glue! 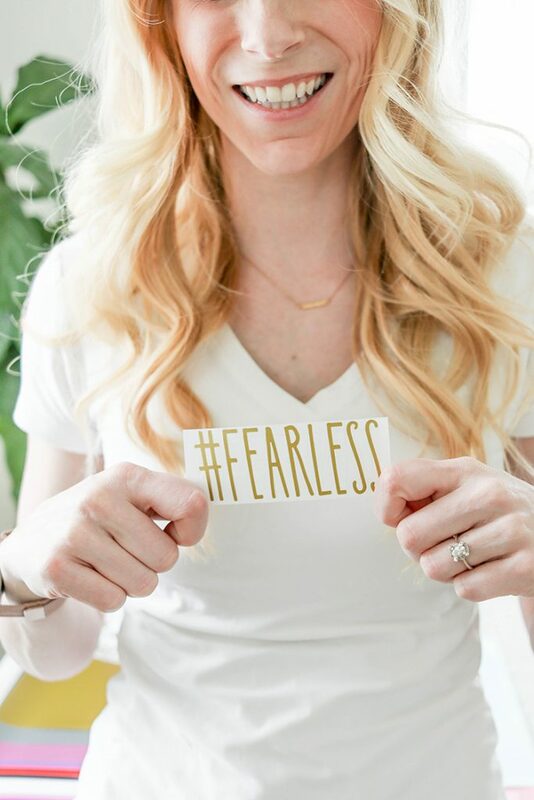 I have been so excited to share this post with you! 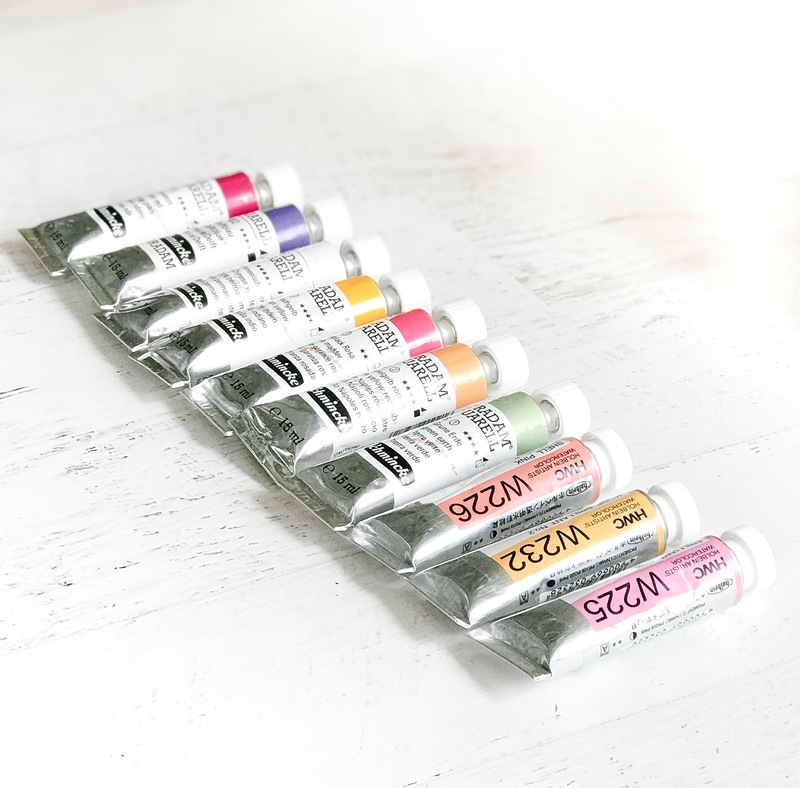 I haven’t painted with acrylics for a while, and was thrilled to create a tutorial with these gorgeous new DecoArt paints! 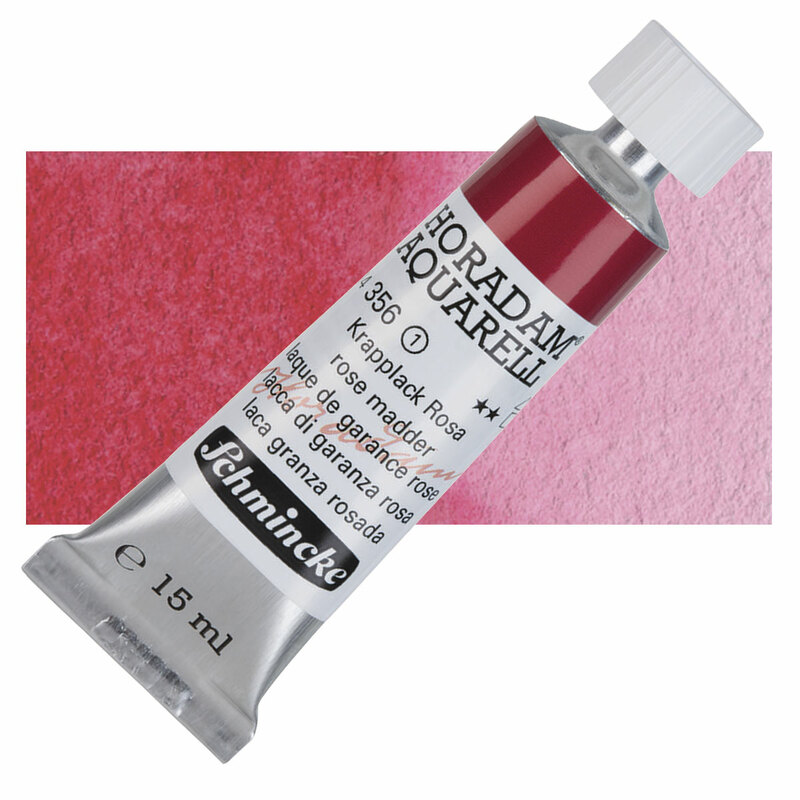 They have a medium body viscosity perfect for beginners and more advanced artists too. 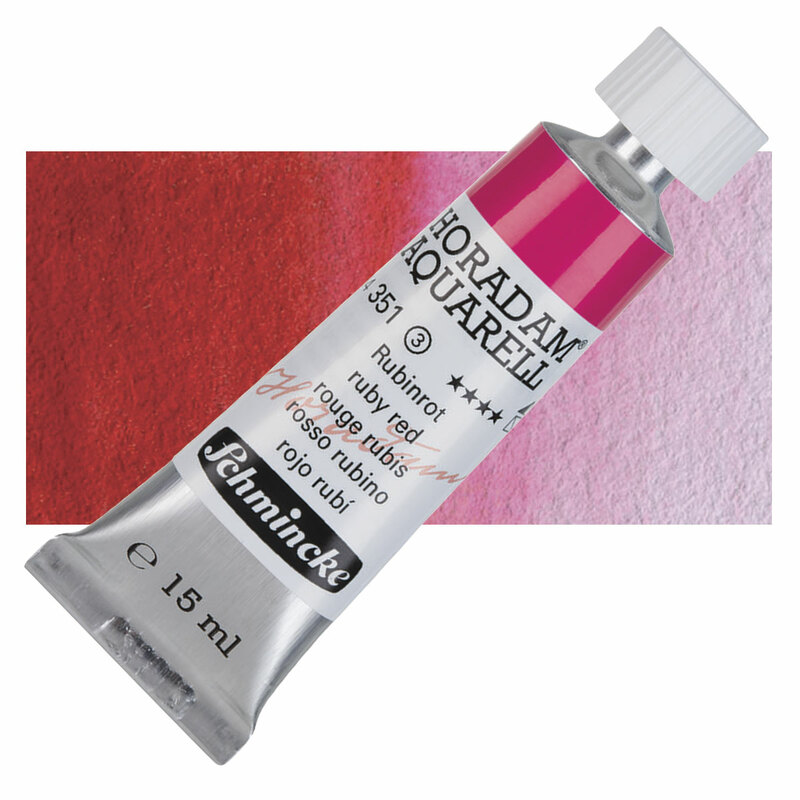 The colors are really bright and pigmented which is one of the top things I look for in my paints. 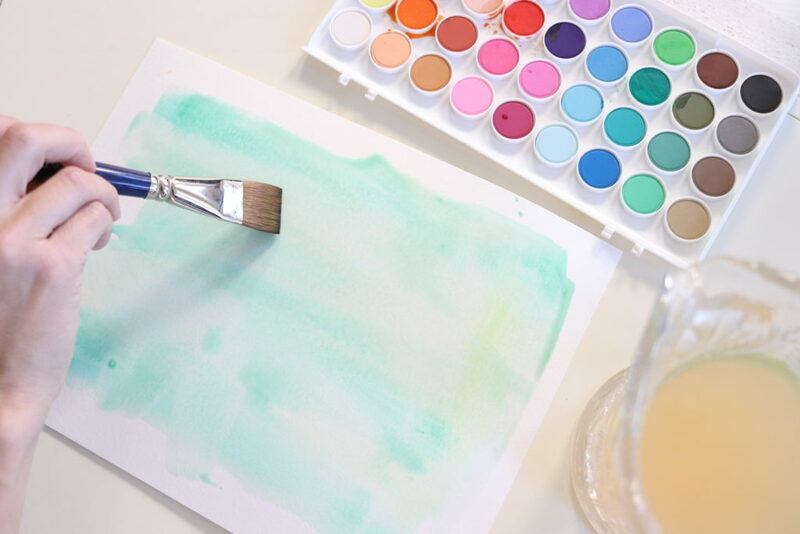 Because the colors are so clean and bright they mix really well into a huge range of colors, tints and shades. I like to start by placing my largest flowers first. I used a flat brush, and dipped it partly into the Vermillion Hue and Primary Magenta to get a pretty color variation in each petal. 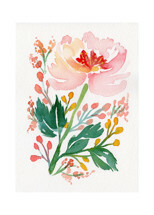 Then I painted the petals by anchoring one end of the brush and sweeping the other into a petal shape. After the largest flowers and buds are placed where I want, I add some stems. Stems should be thicker at the base and more delicate at the tips. I painted the stems using Prussian Blue and Green Gold mixed together. Once the stems are in place I use a size 6 round brush to paint my leaves. 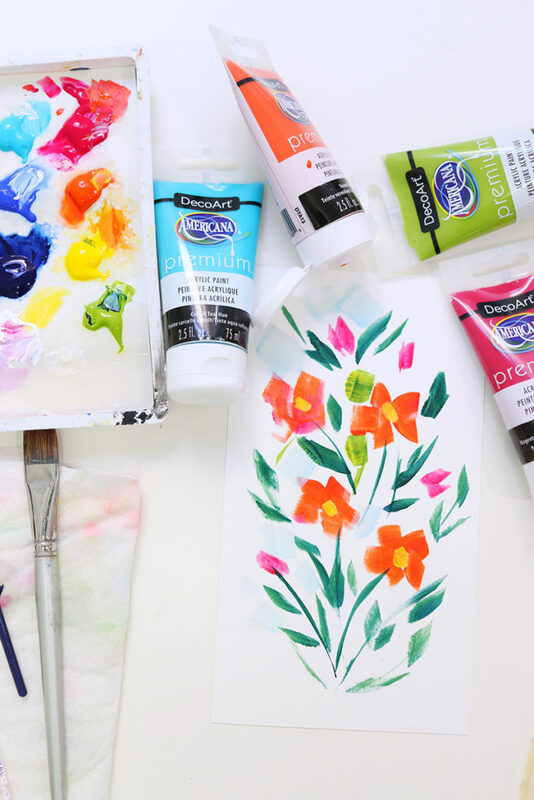 I used the colors Green Gold mixed with Cobalt Blue Hue, and Cadmium Yellow Hue to create variation in each leaf. 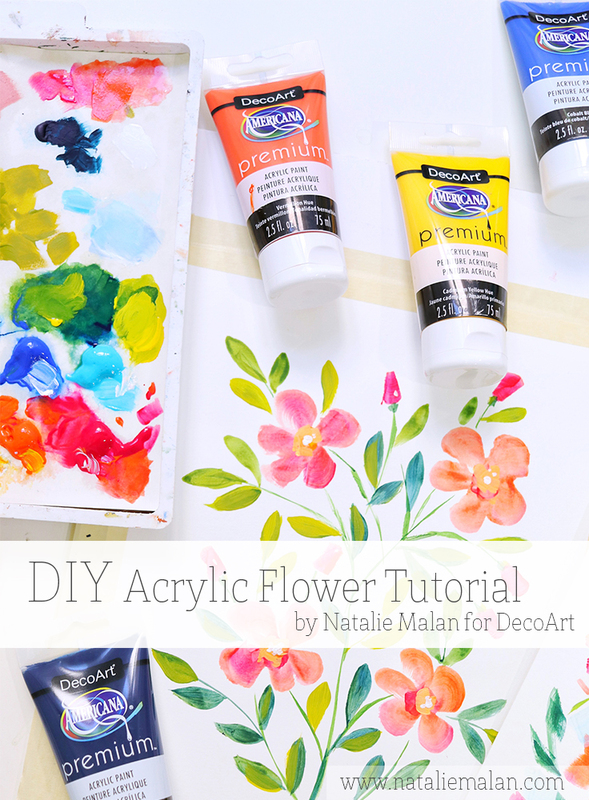 In this painting I also used some Titanium White to add little highlights in the centers of the flowers and on the buds. 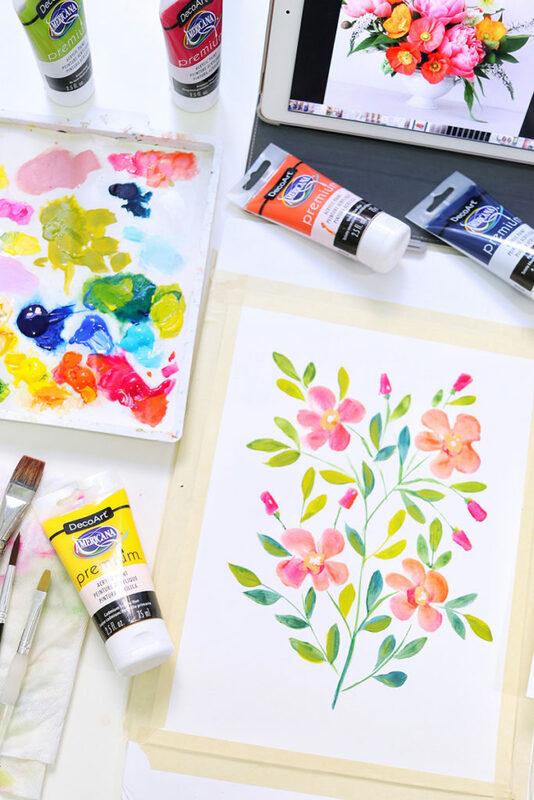 Some days I’ll leave my painting as is with a white background, but in the video I show you how I add a pretty blue sky and leave interesting little shapes white peeking through. Be sure to take a look, like, comment, and subscribe to my You Tube channel for more videos! 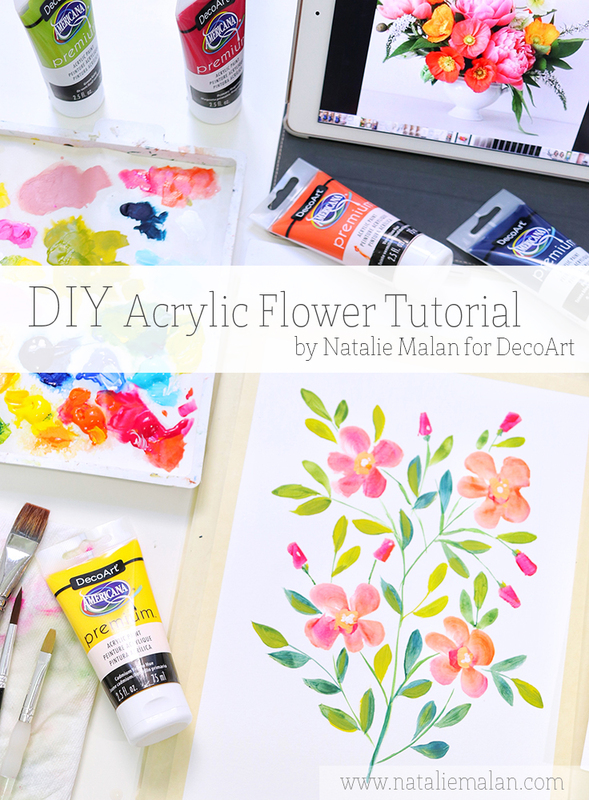 Here’s a quick link to the Acrylic Floral Painting Video! If you’re joining us from Studio 5, welcome! Come and stay a while! And thanks for watching my segments! I’ll post the video here after it airs. 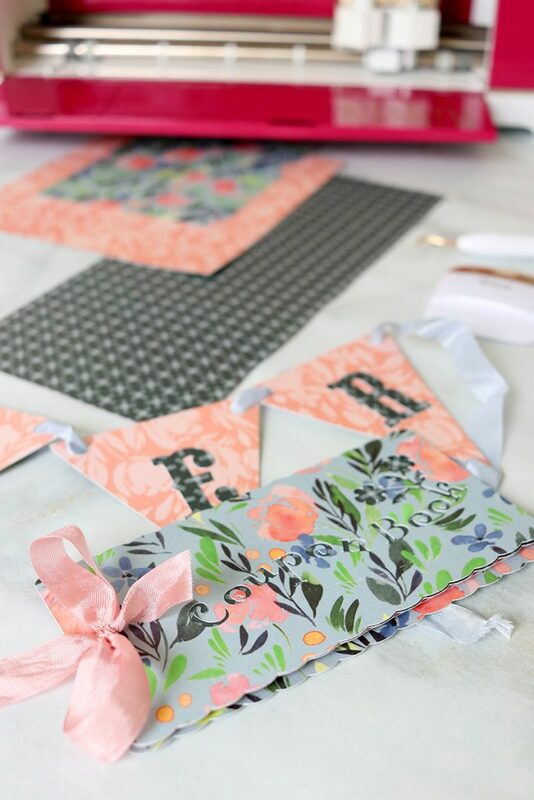 *My post on Fabric painting will be posted next week so sign up for our newsletter or follow me on Pinterest or Instagram and I’ll let you know when it’s up! 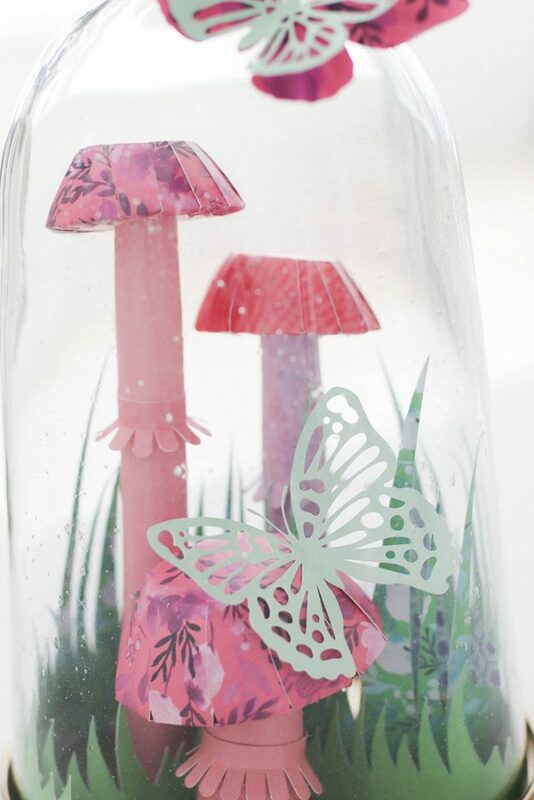 These were so fun to make! 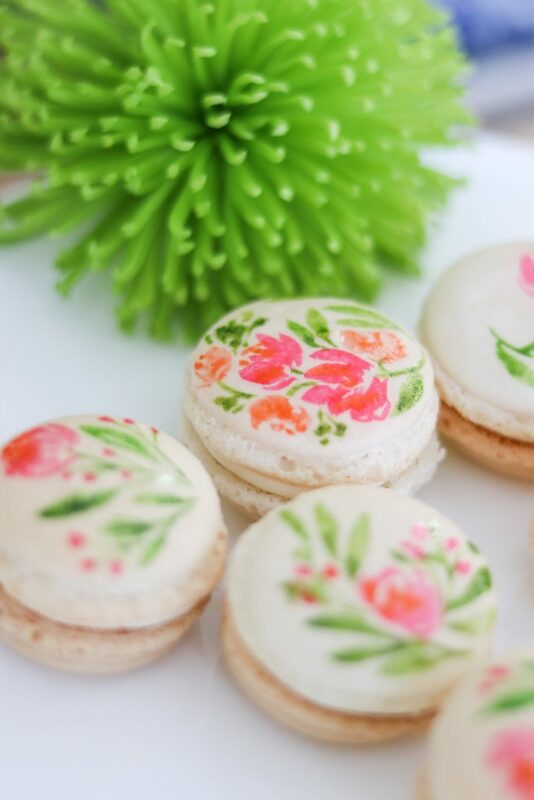 You can either make your own macarons or use store bought ones and just decorate them! I make my own with this recipe, and this almond flour. 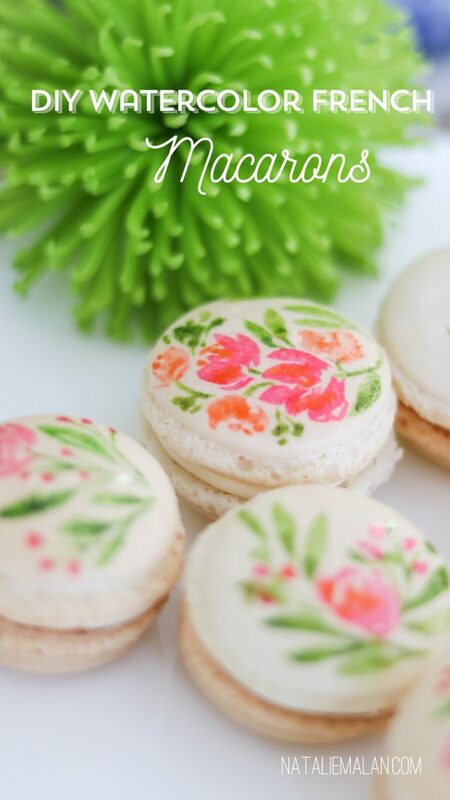 It’s amazing, and I didn’t even sift when I made these macarons!!! That’s cutting out the longest step! I think I saved a whole hour. Seriously though, buy it. It’s the cheapest, and the best too!!! Win, win. 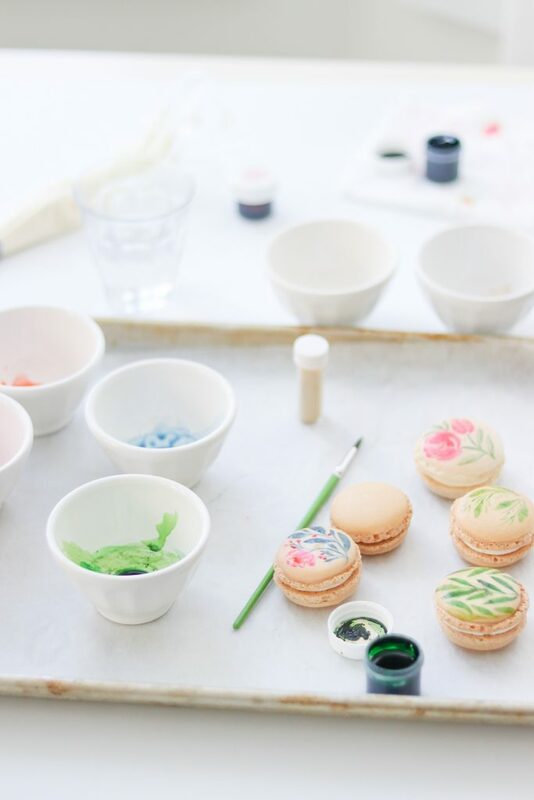 You probably already have the items necessary to paint these in your kitchen. Put a few drops of Almond extract in a small bowl and then dip a clean brush into your gel and mix it with the extract. 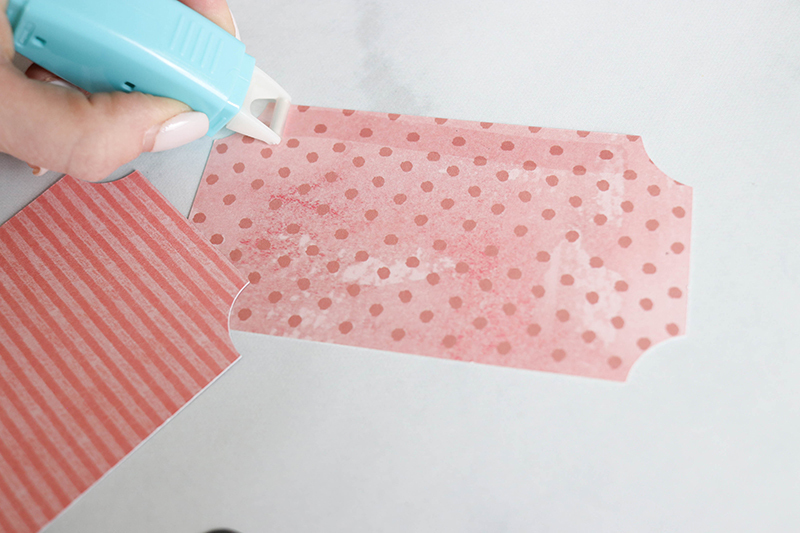 use the tip of the brush to make fine lines and push down for a larger leafy shape. 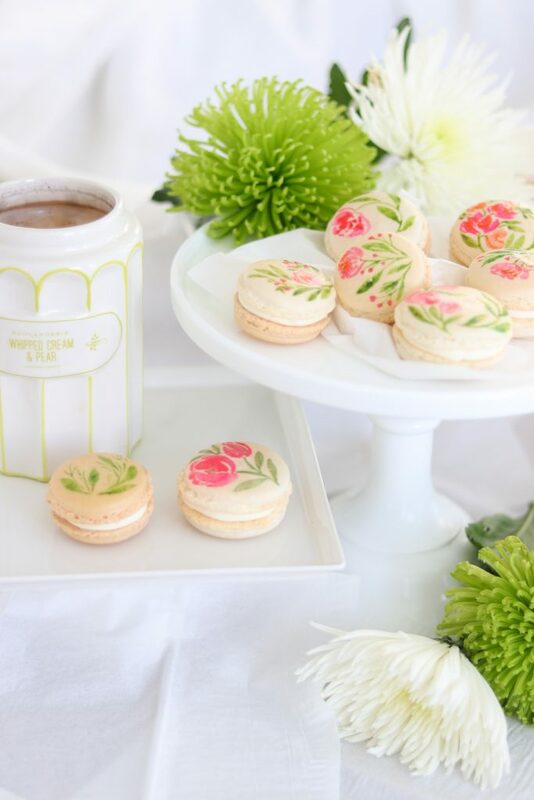 I like to draw my lines first and then fill in with flowers and leaves. 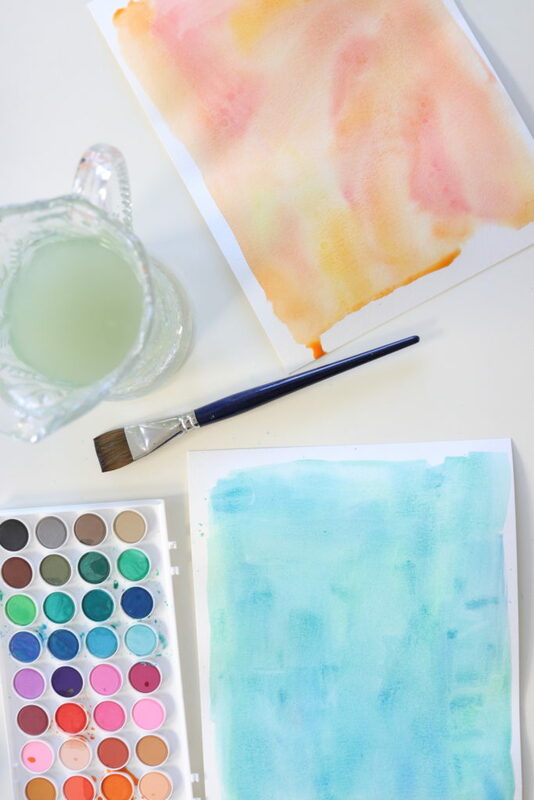 Rinse your brush in water in-between colors to keep them super bright! You need your egg whites to be room temp. Super important. I warm them up in warm water in the shell. You also need non generic powdered sugar. Generic has more fillers and doesn’t work as well. 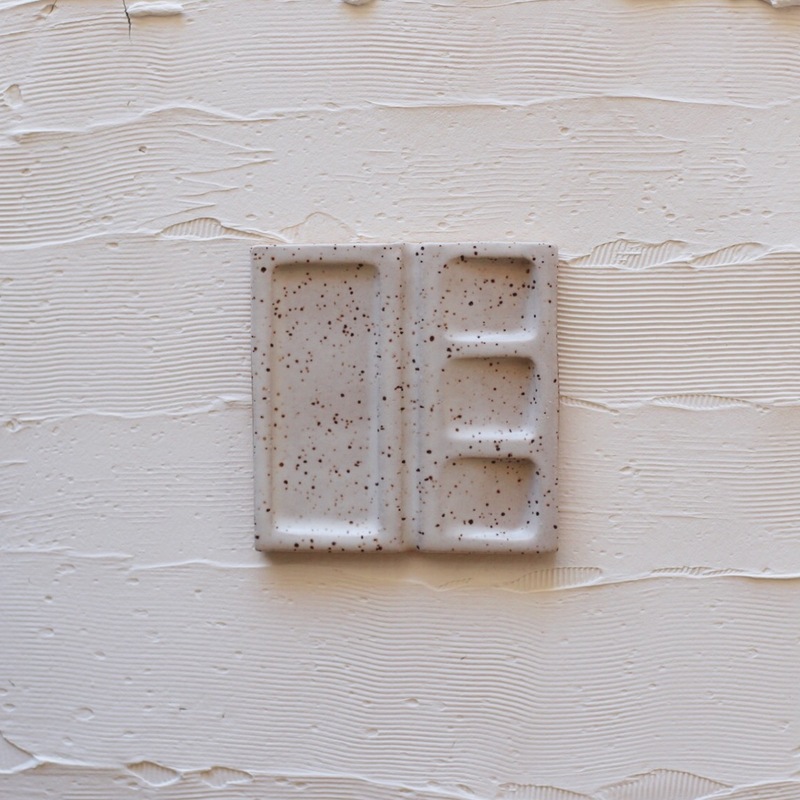 AND most importantly; if they are cracking on top you need to mix them more! Like lava! I didn’t mix my first three batches enough. They need to ooze off your spoon, but not too fast. 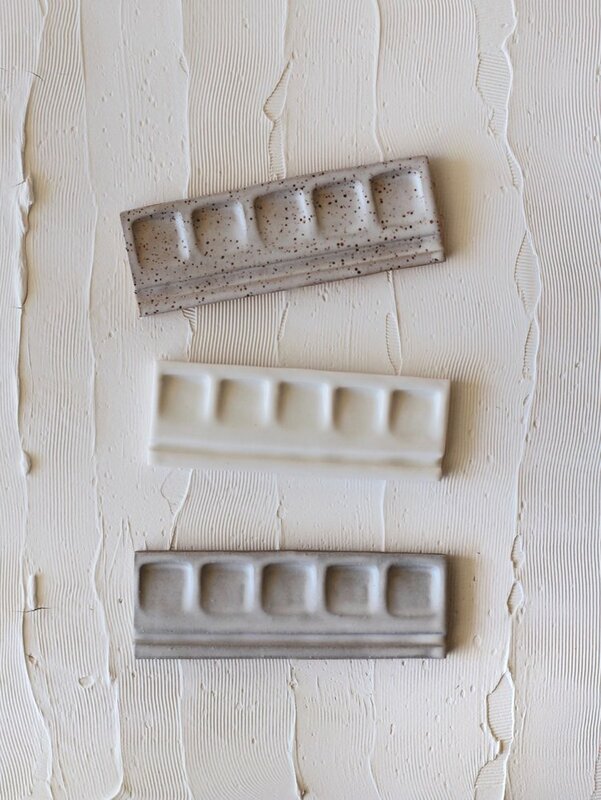 Great you tube video here with lots of great tips, and you can see the consistency. 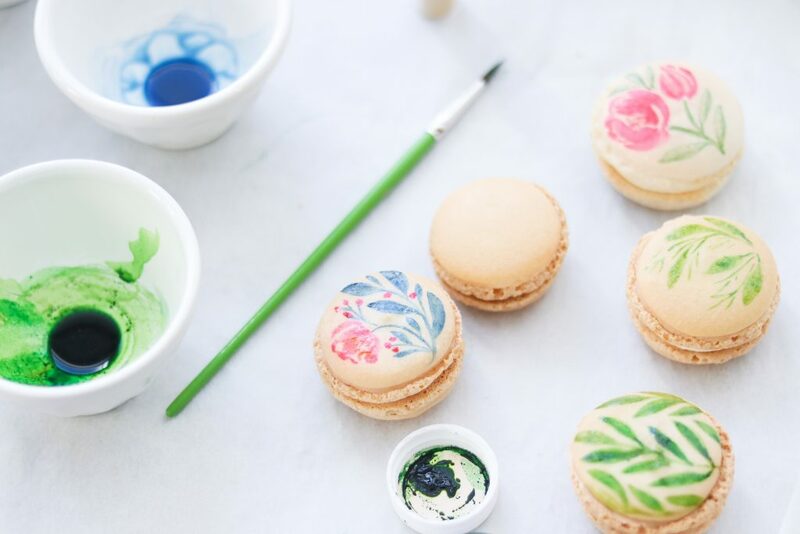 I’ll be adding another video to the post showing me painting the macarons. You can see it now in crazy fast motion here on my instagram. 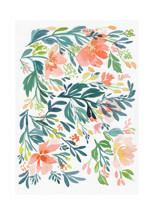 Valentine’s Day is coming up quickly, and I wanted something little to bring a little spring into my house for the holiday. 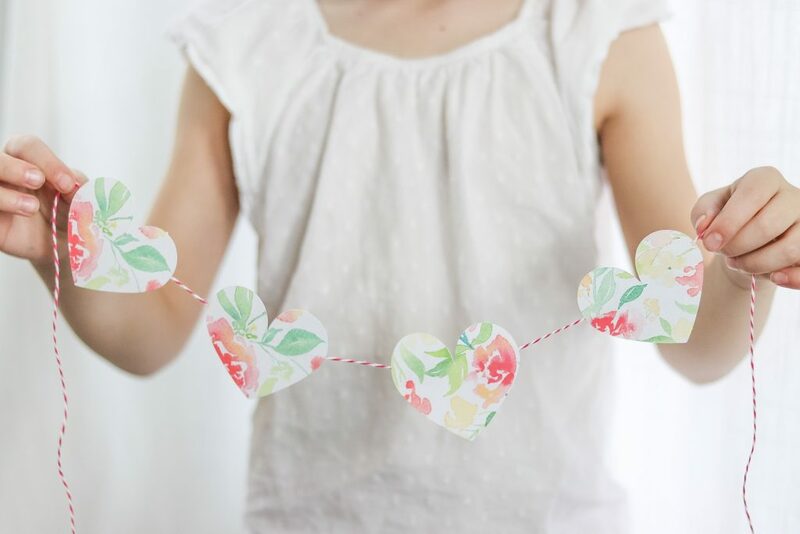 I’ve become a lot more minimal in the last year, so a sweet watercolor floral paper heart garland sounded perfect. 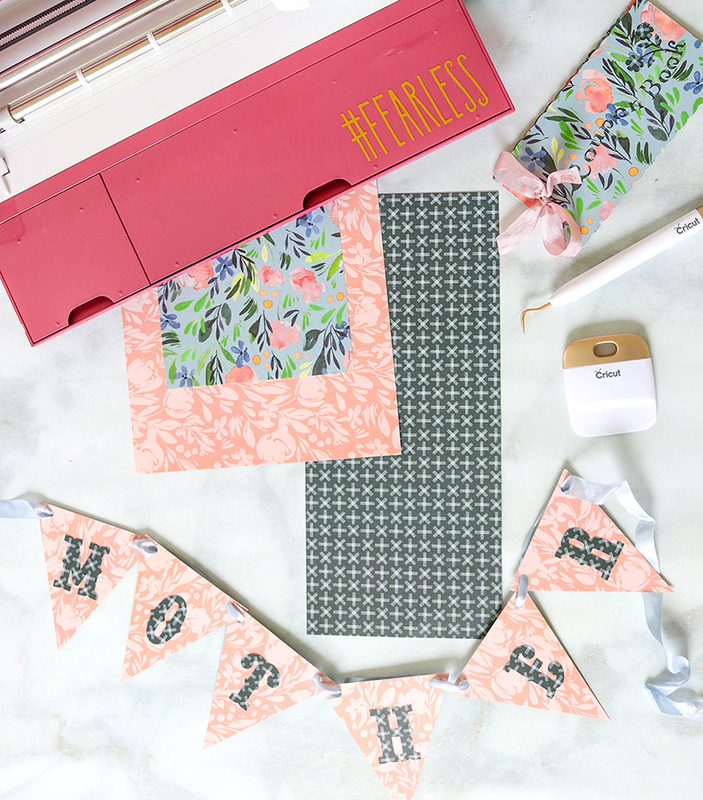 There are two free printable files below; one for printing and cutting with scissors and another for cutting on a machine like a Cricut. 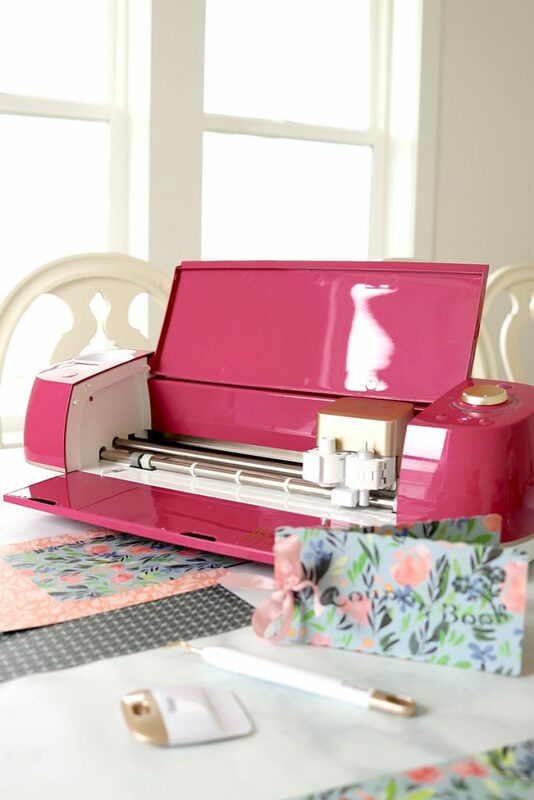 The file for the Cricut can be imported into Design Space to print and cut perfectly. I sized mine down to 5 inches wide when I cut it (see the pic above). 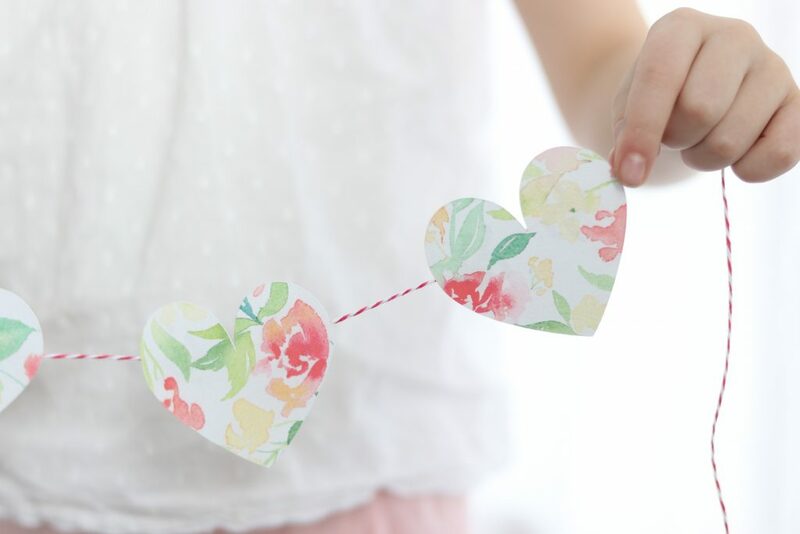 I think I will write things I love about my kids on the back of my hearts and put them around their plates on Valentine’s day. 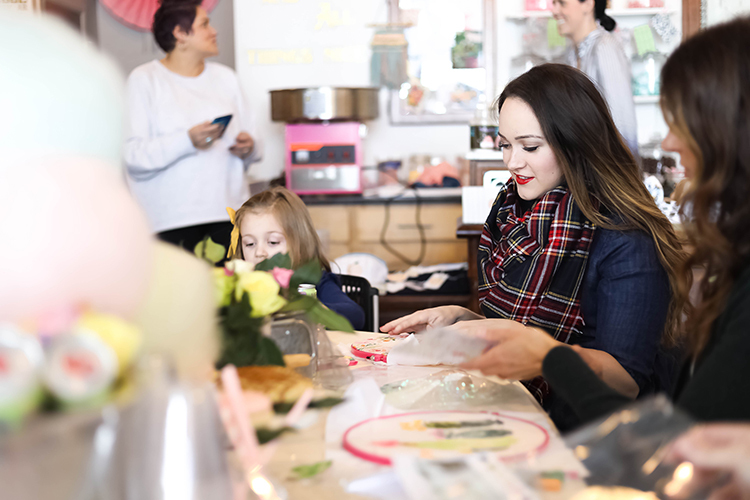 Or maybe make little coupons from them that they can redeem for “mama time.” They love making crafts with me and that would be fun to look forward to. 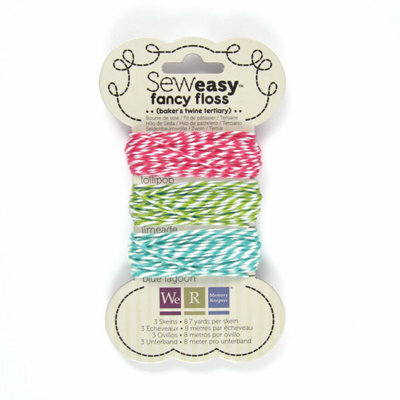 If I had gold bakers twine like this I would have used it for sure on this project. But I’m currently all out. 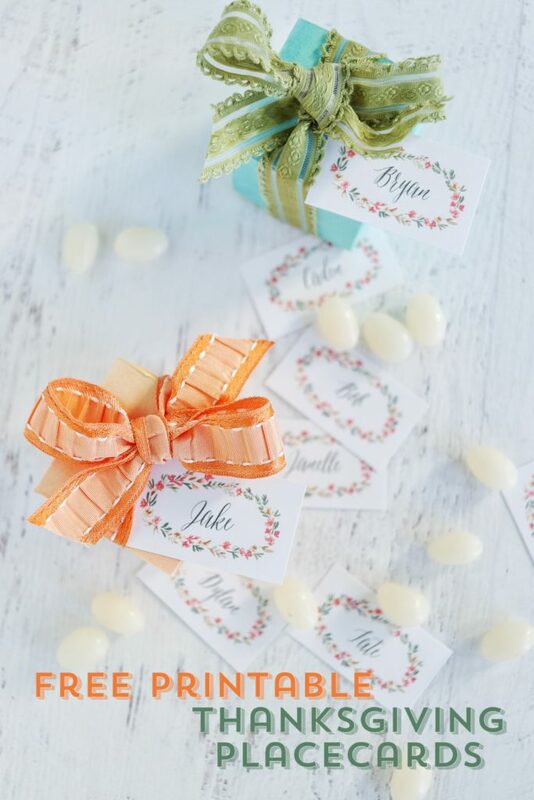 I get asked a lot of questions about twine and washi tape from this post, and I just use bakers twine like you see above, and washi tape like this. 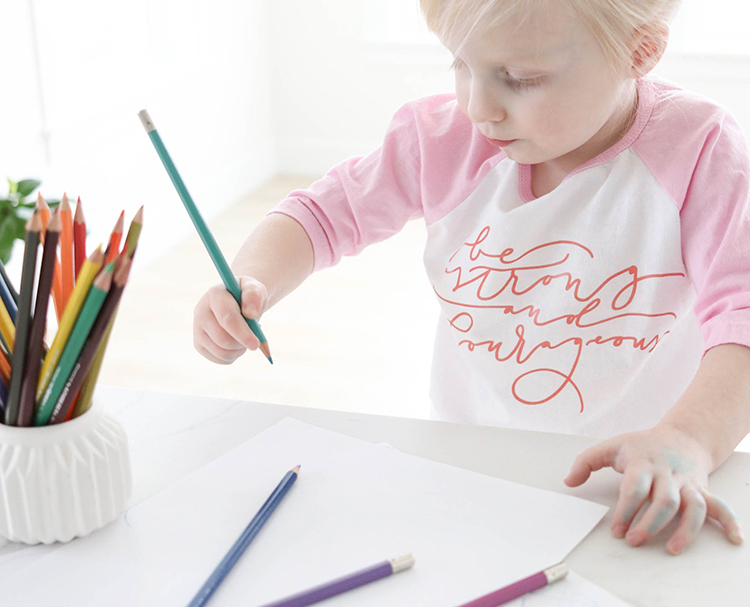 It’s easy to tear, and it comes off easily – and it’s cute! 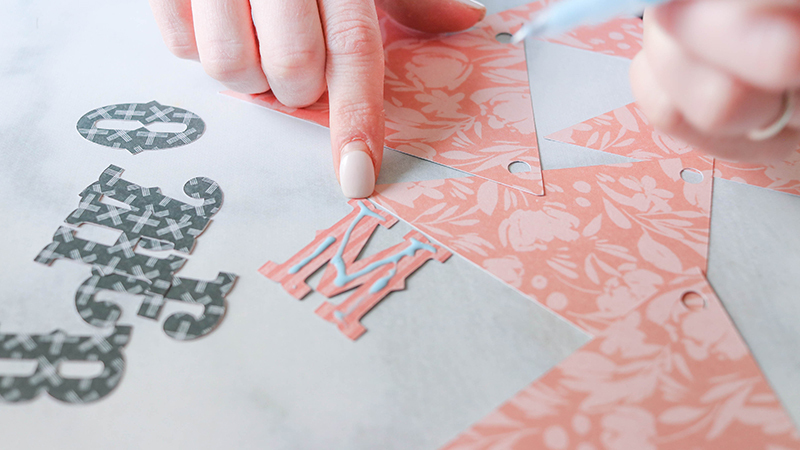 And let’s talk for half a second about my love for these scissors. They are super sharp, and I love seeing them on my desk every day. 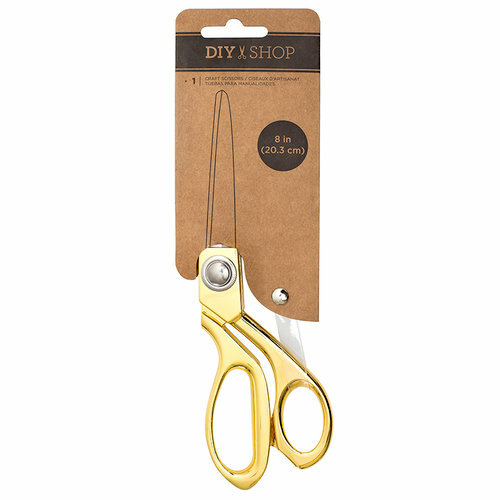 If you’re in the market for a new set; these are the best gold scissors I’ve tried. And I’ve tried a bunch of them. And I do have to say this machine is amazing!!! 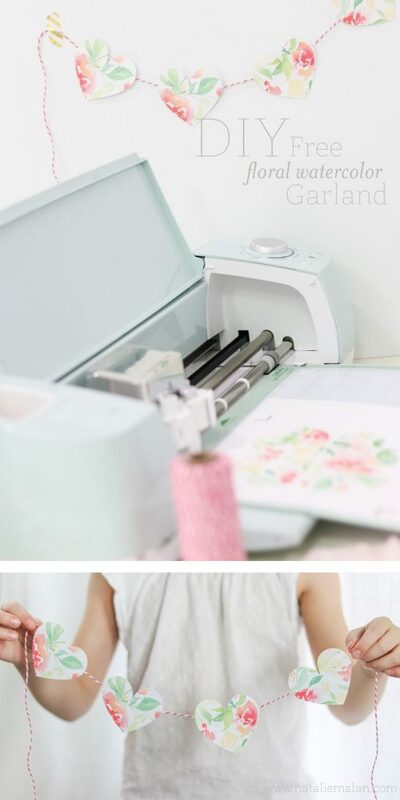 I’ve used mine for SOOOO many projects!!! 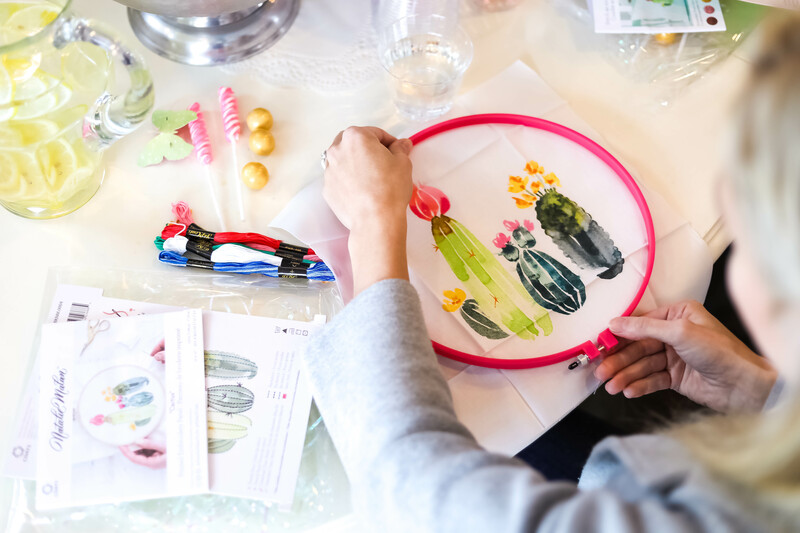 Here’s just a quick link to info about a collab Melissa Esplin and I dreamed up for March! 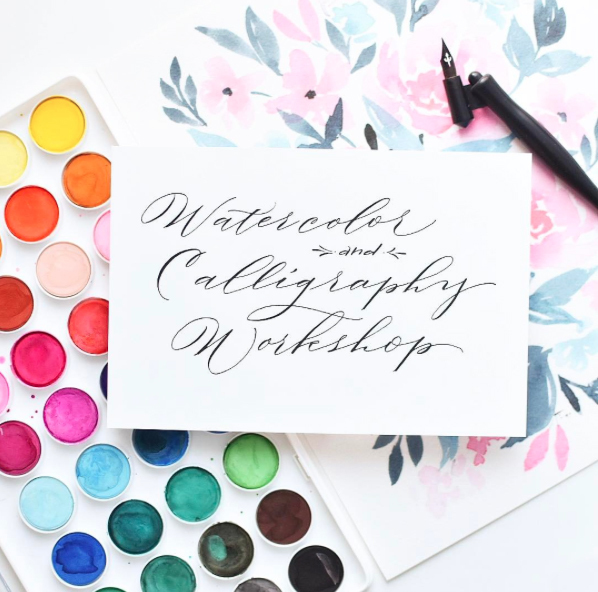 Be sure to take a look if you’ve had watercolor and calligraphy on your list of things to learn this year! Its going to be a super fun day! 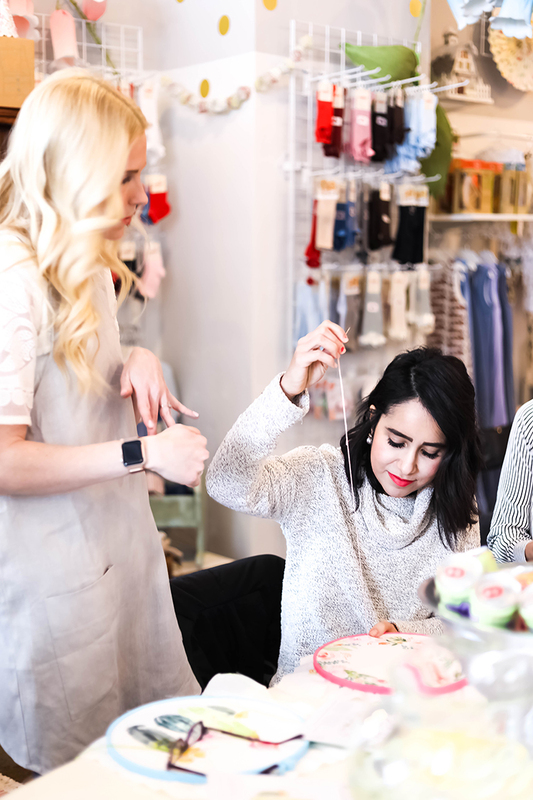 Click on the LINK below the image!